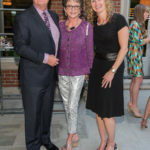 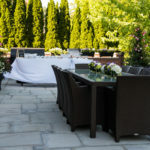 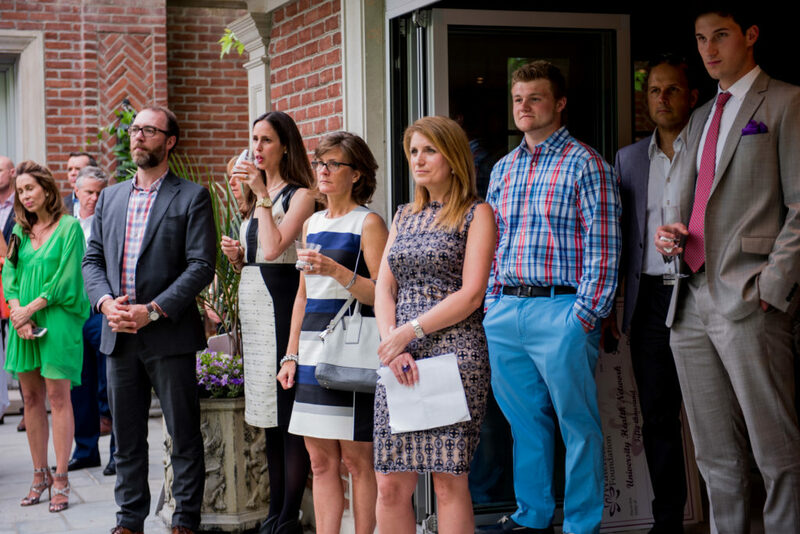 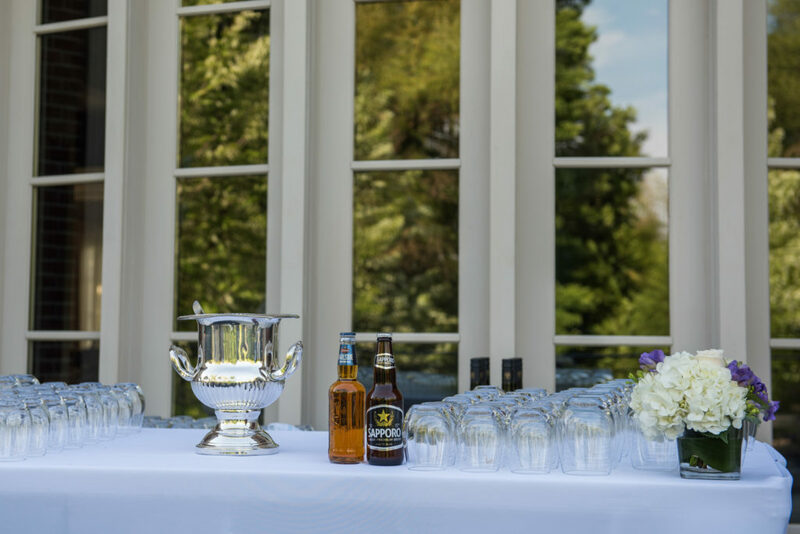 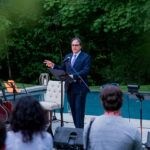 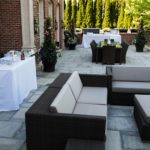 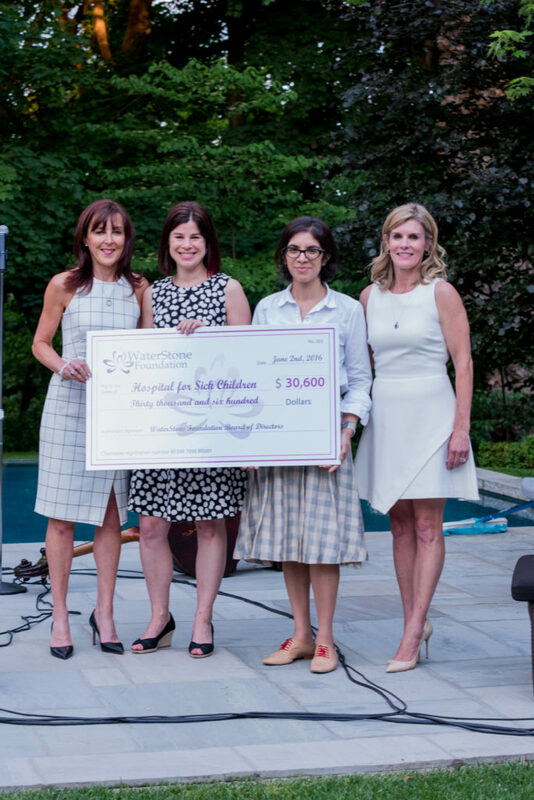 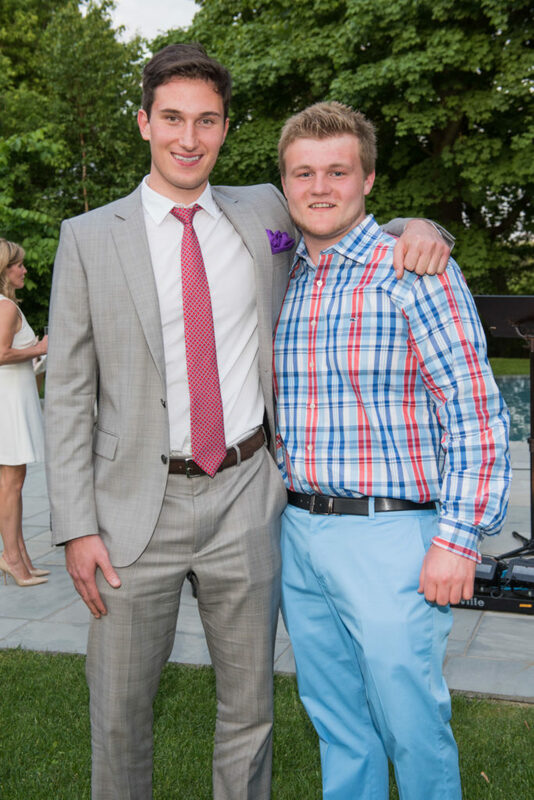 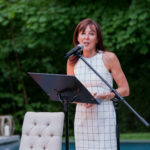 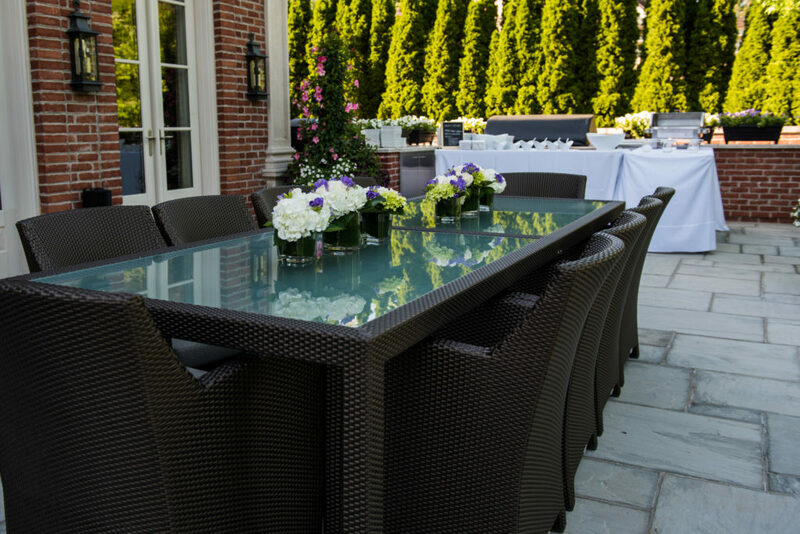 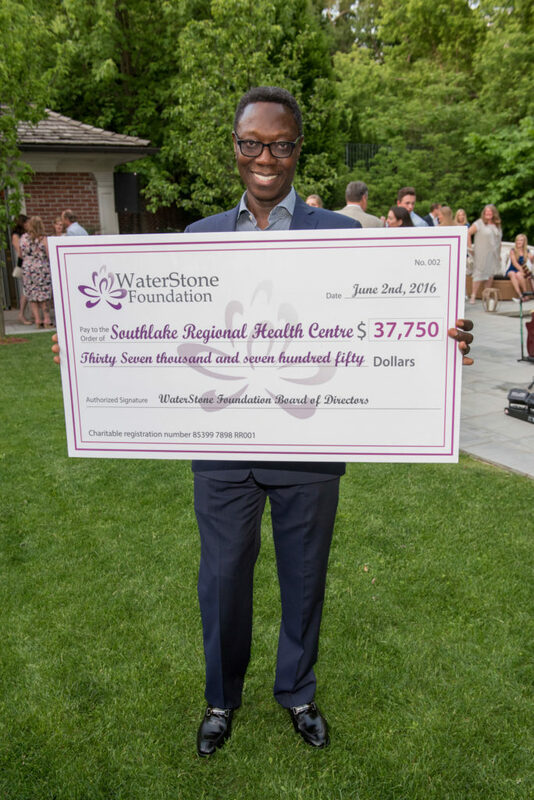 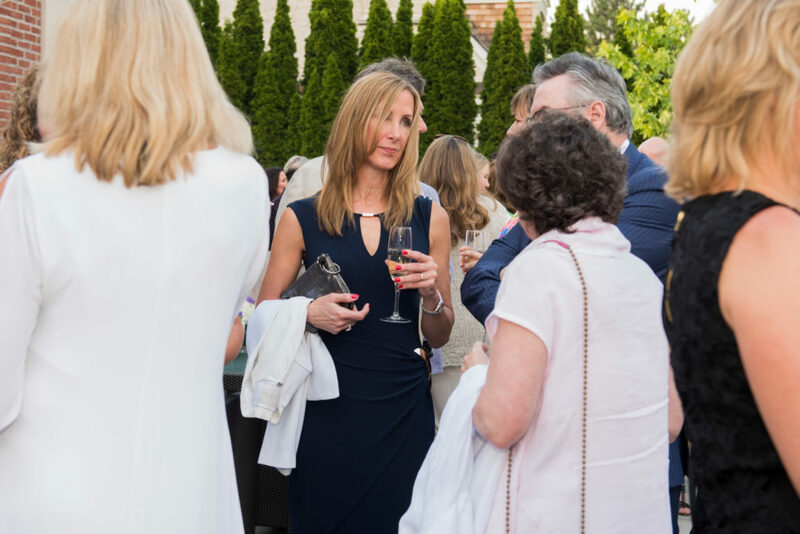 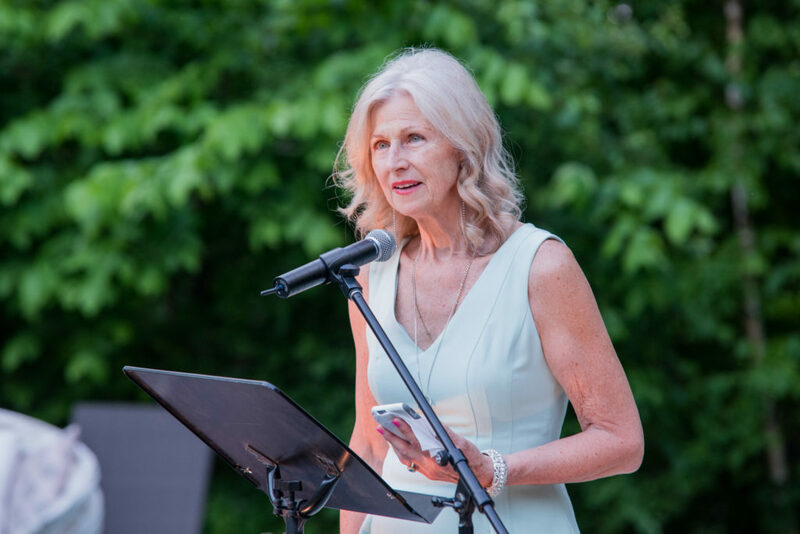 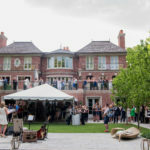 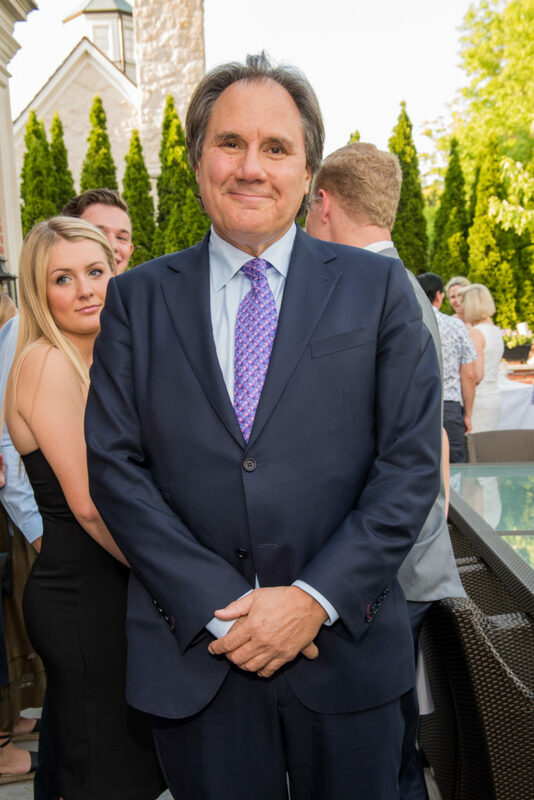 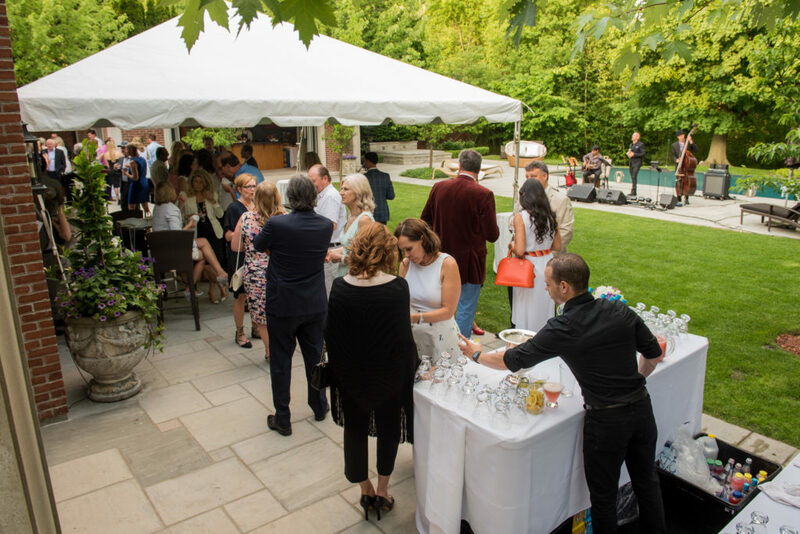 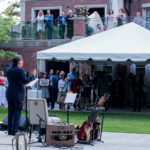 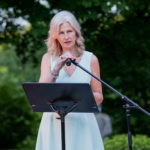 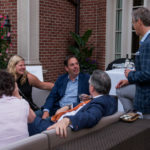 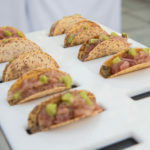 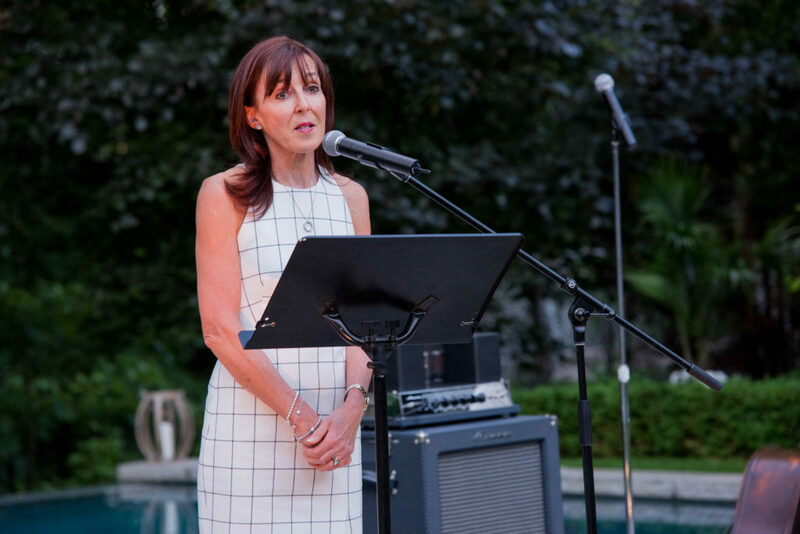 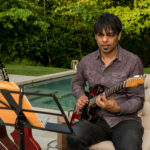 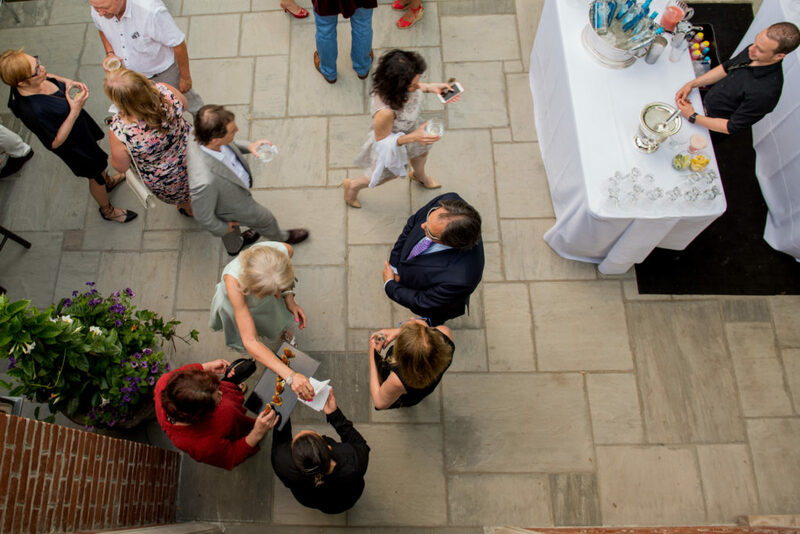 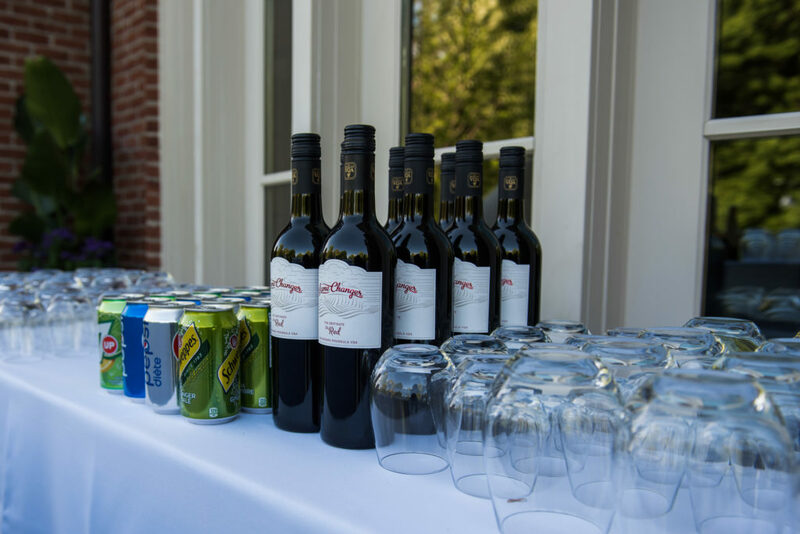 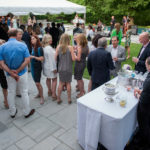 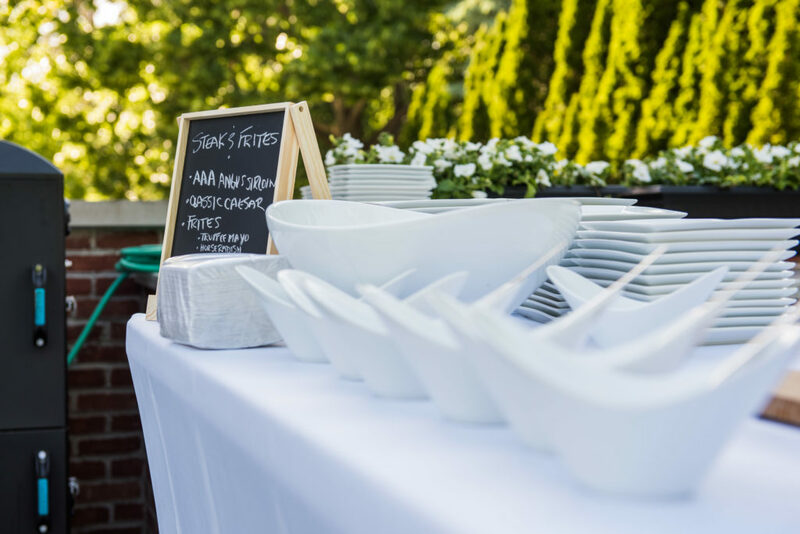 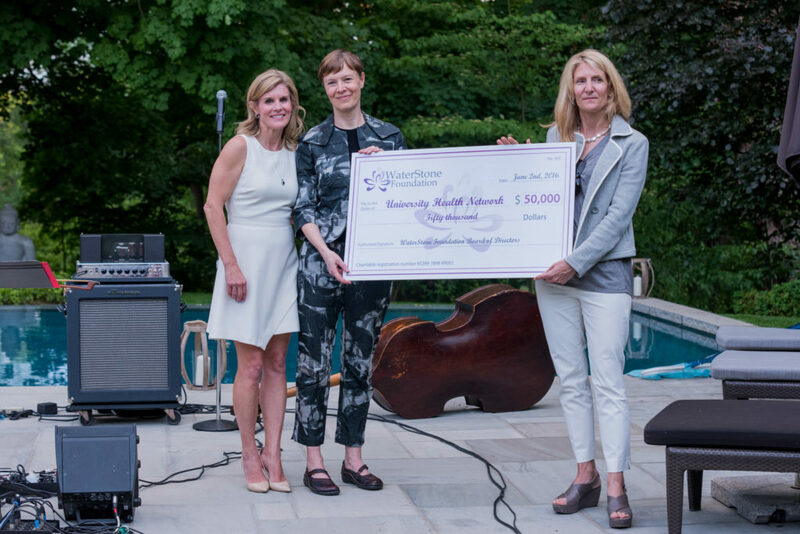 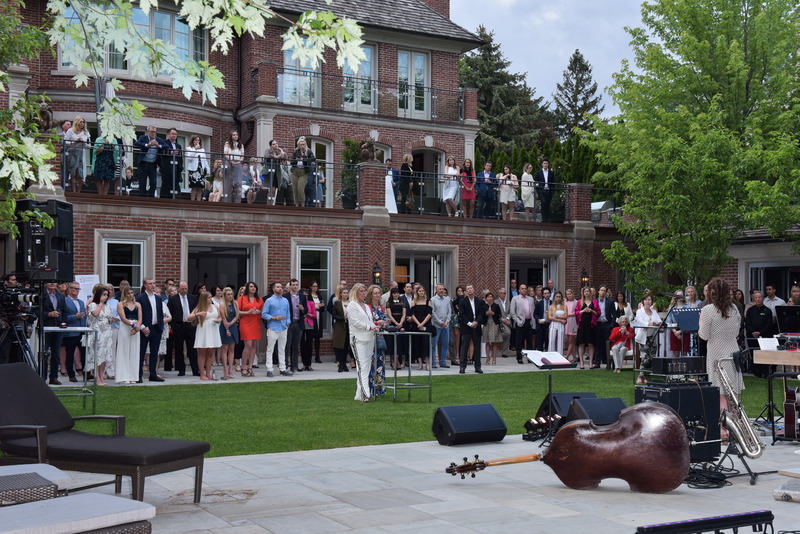 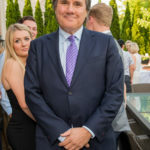 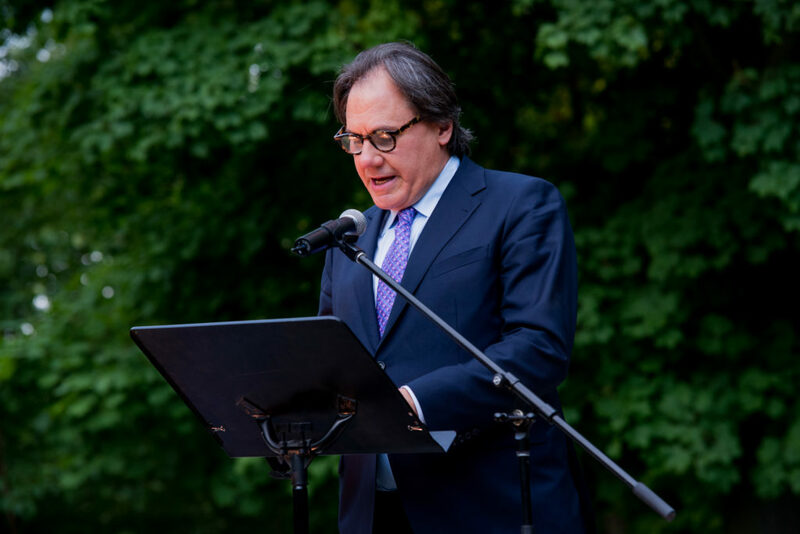 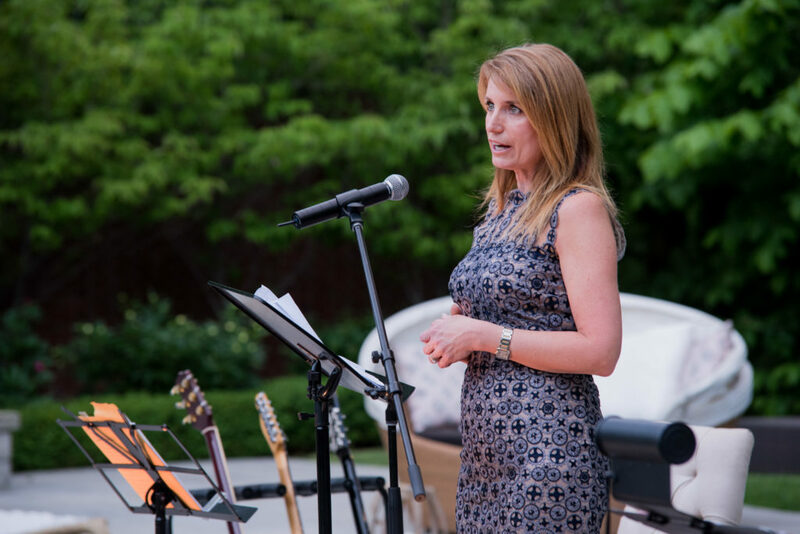 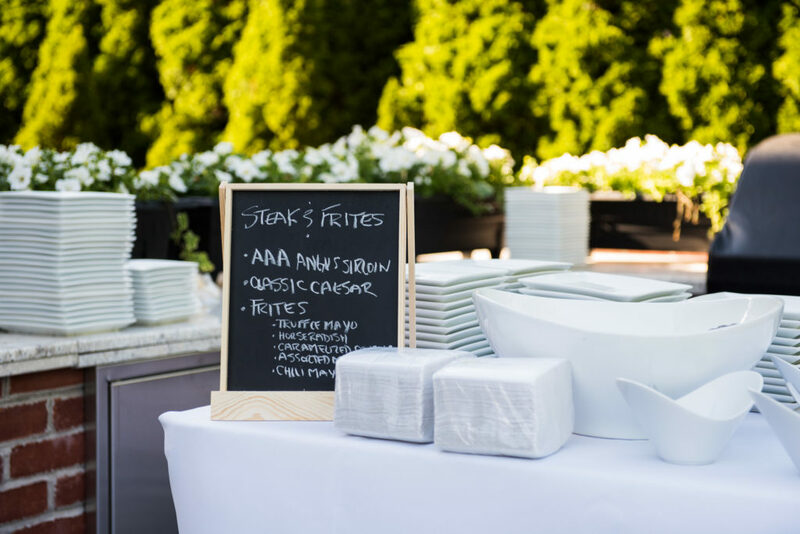 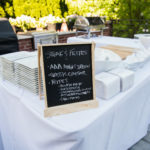 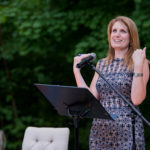 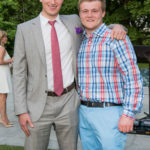 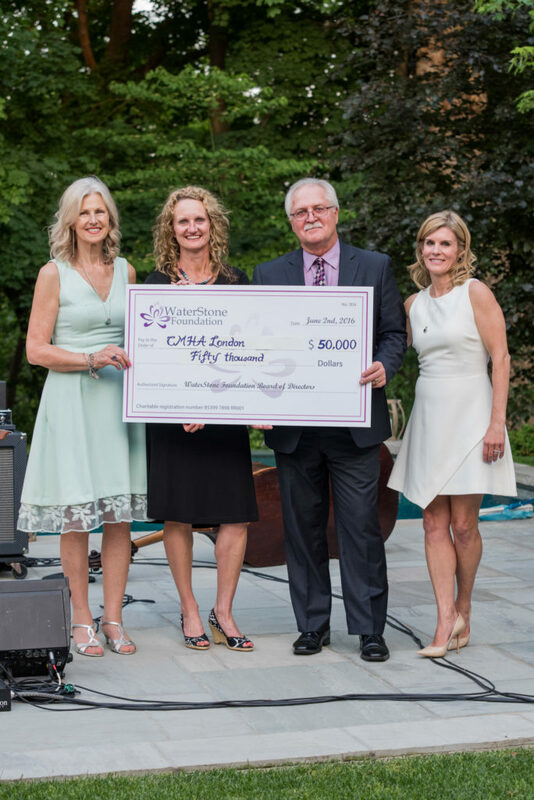 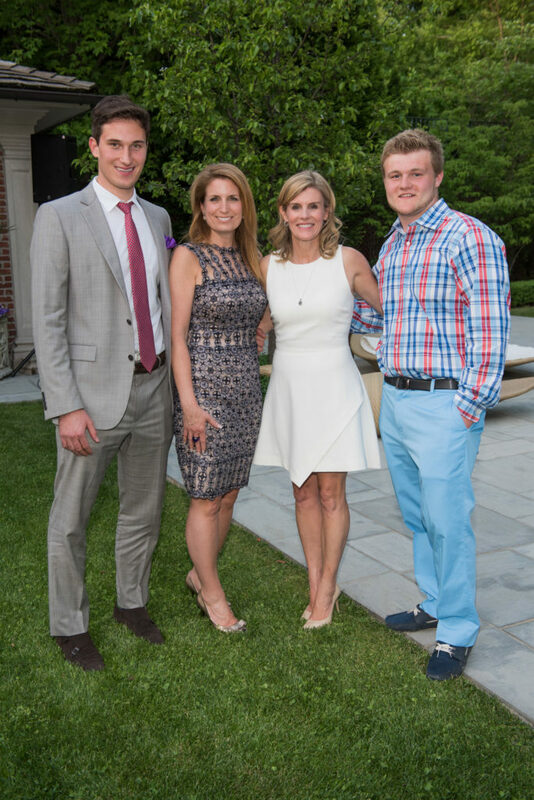 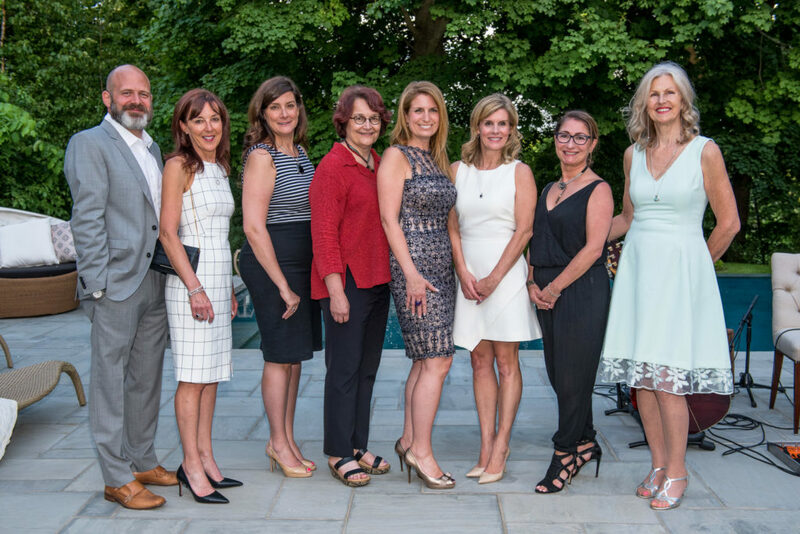 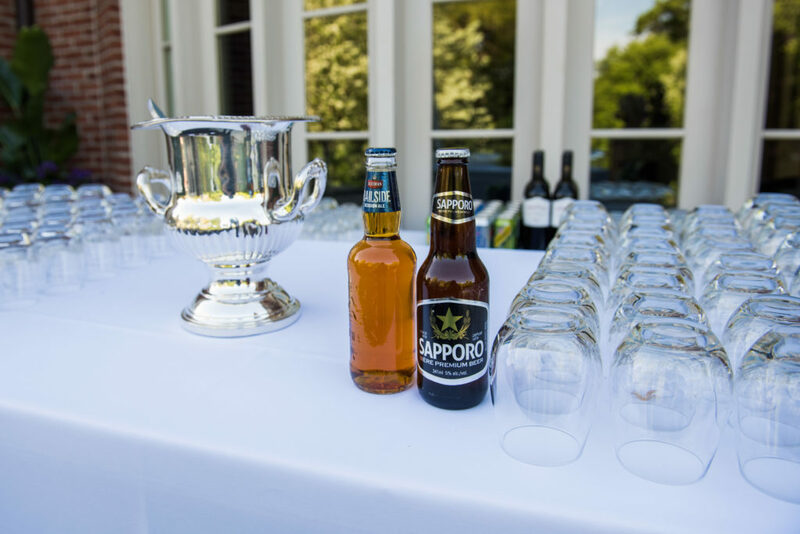 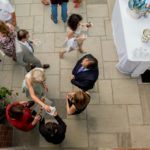 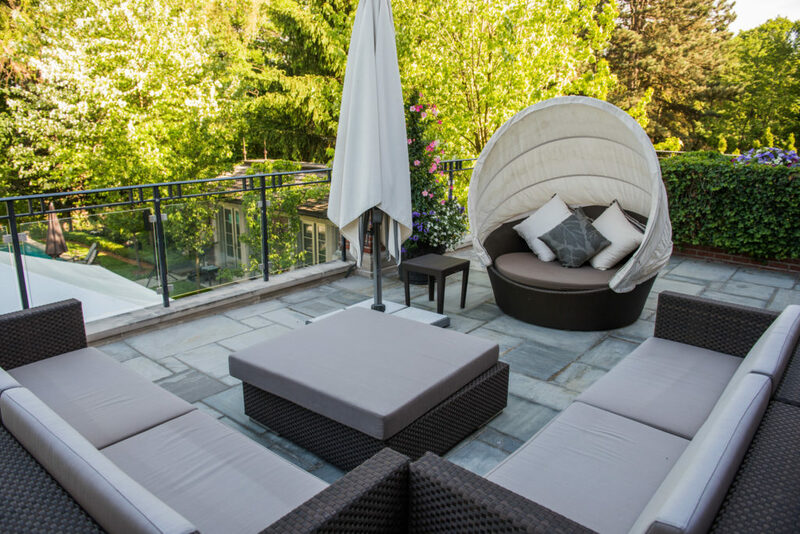 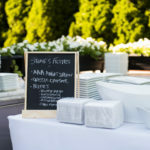 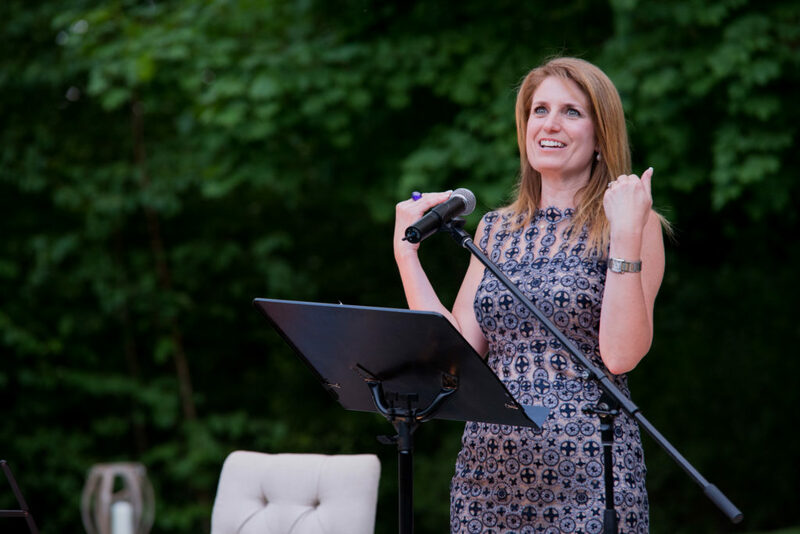 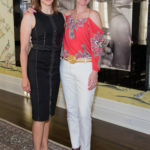 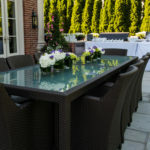 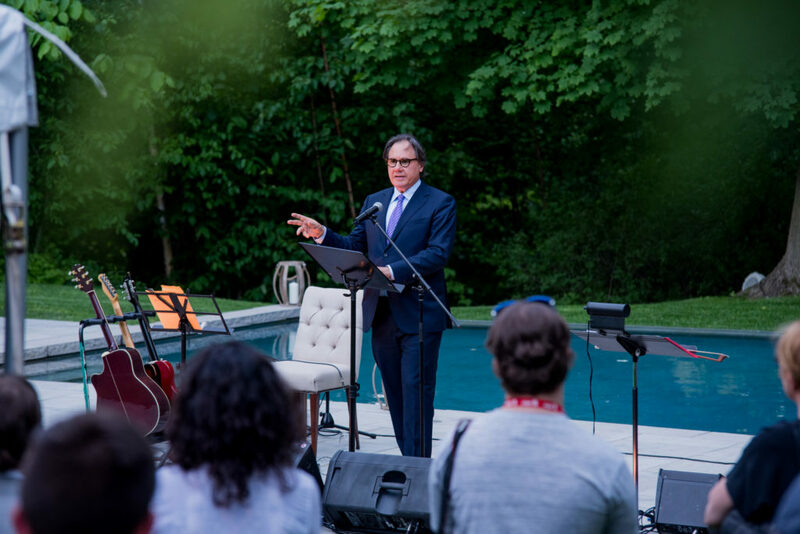 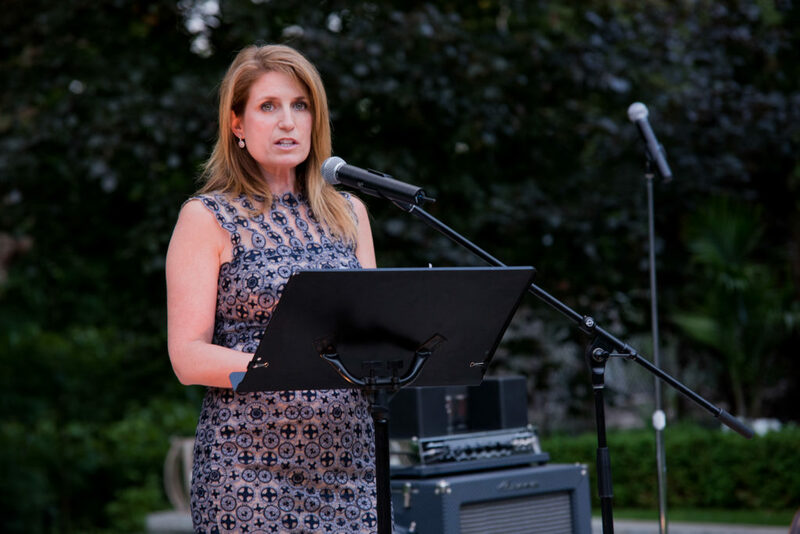 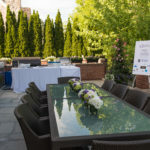 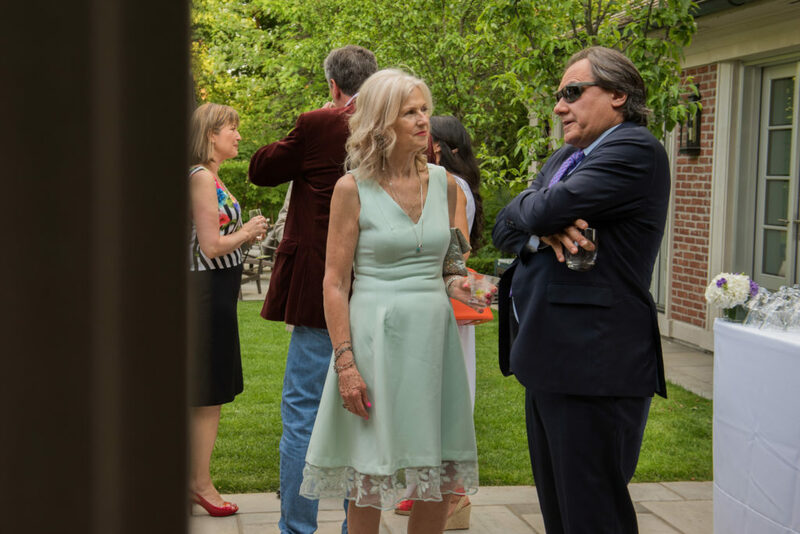 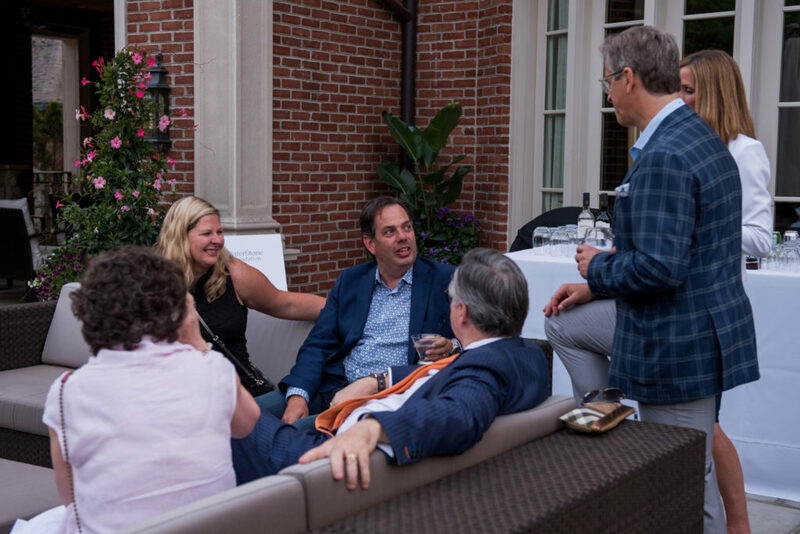 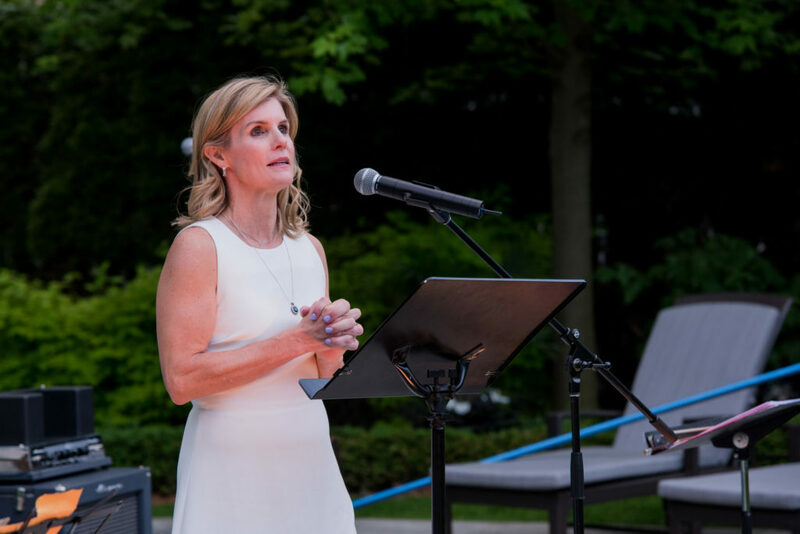 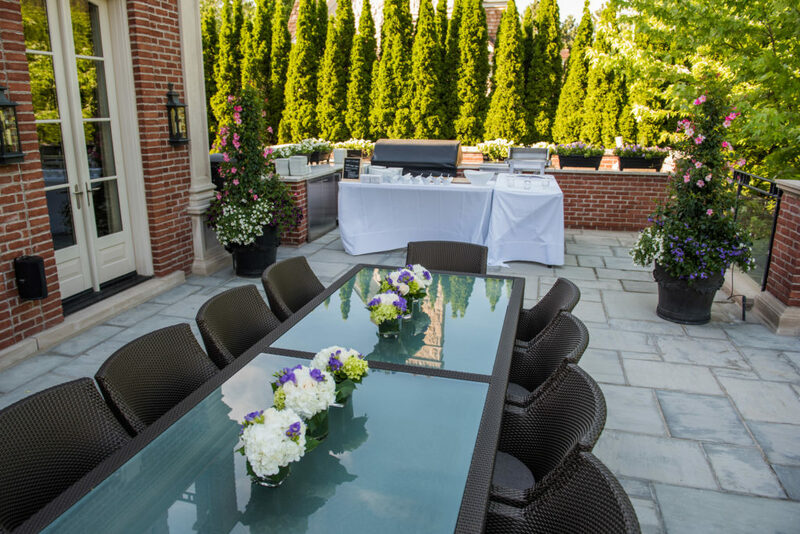 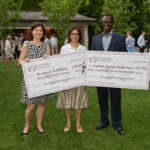 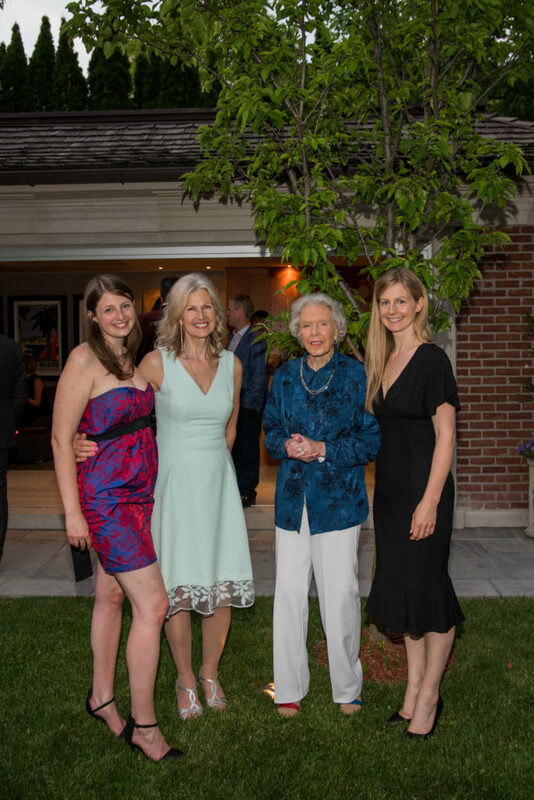 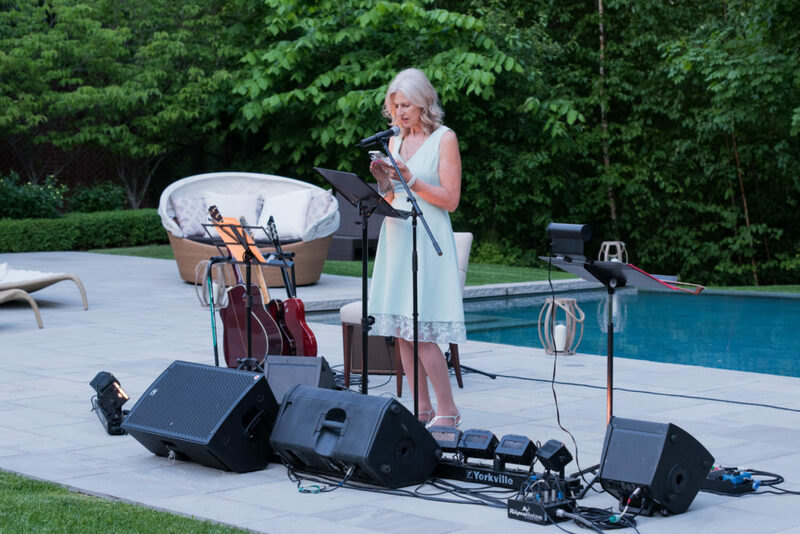 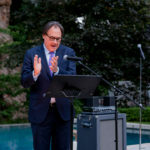 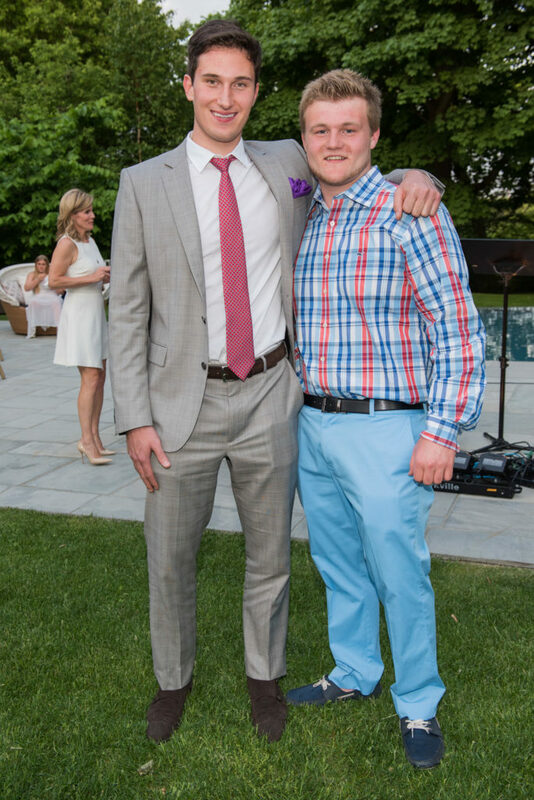 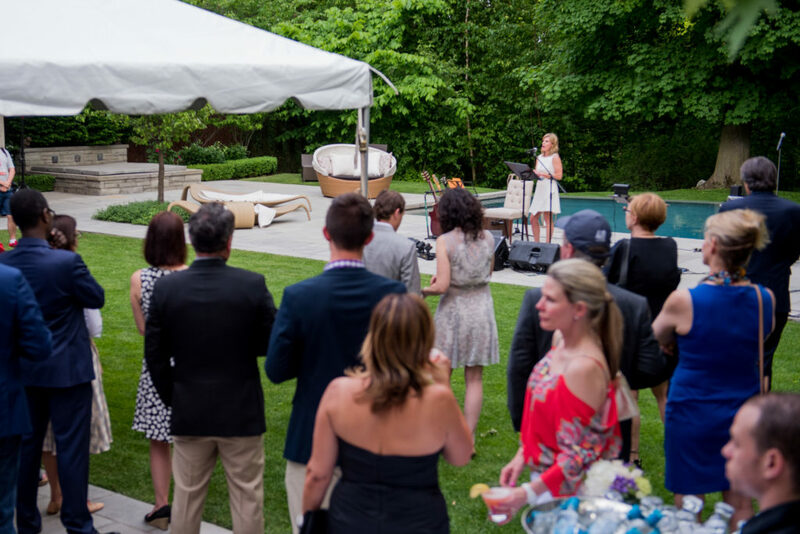 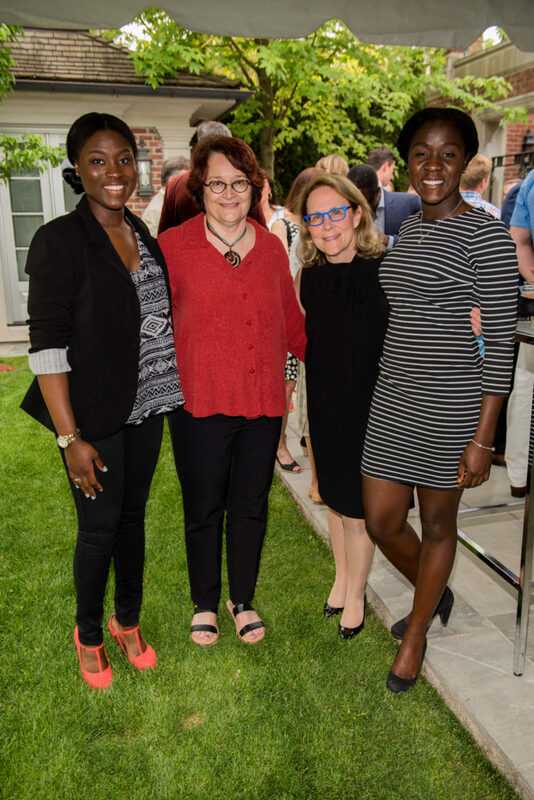 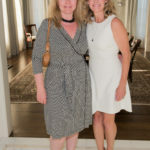 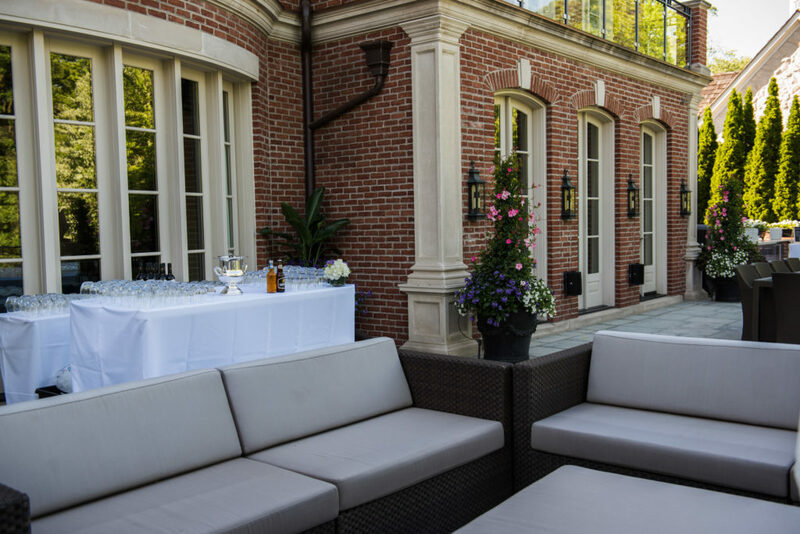 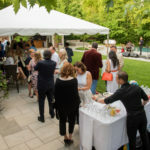 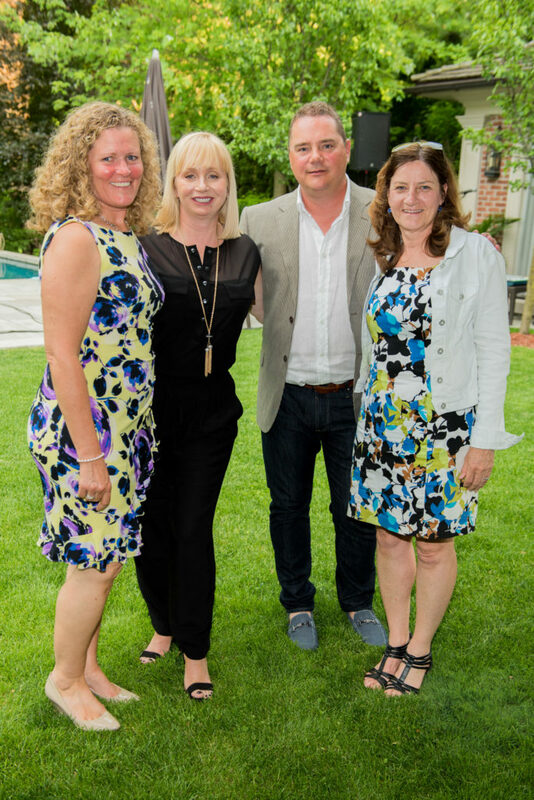 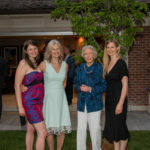 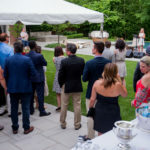 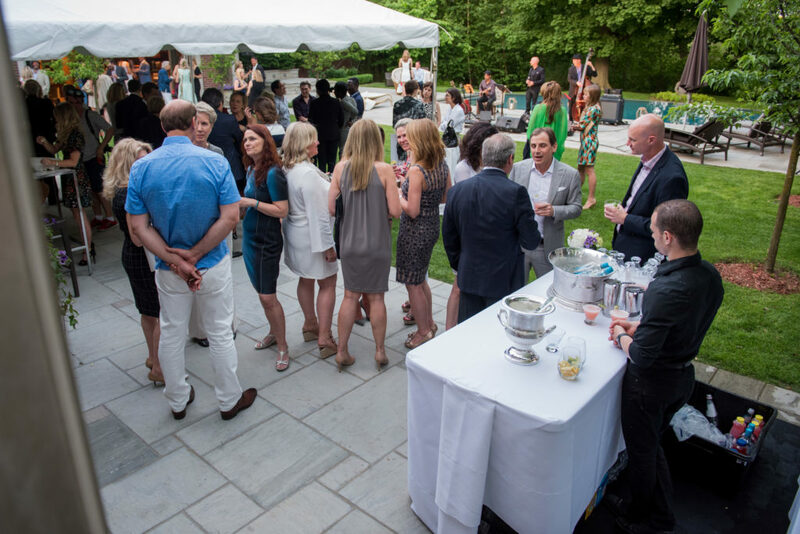 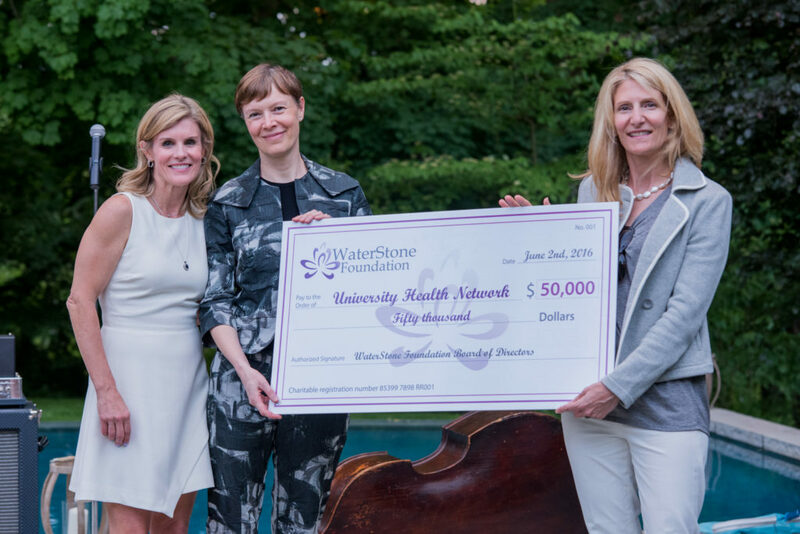 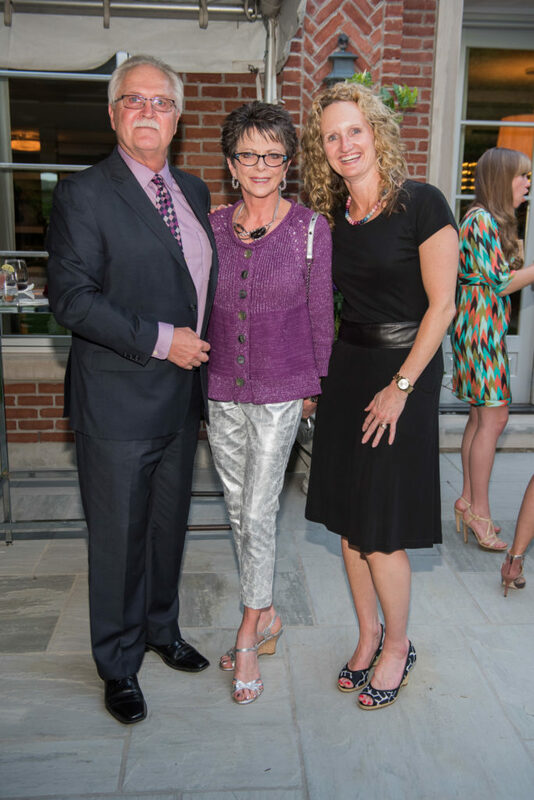 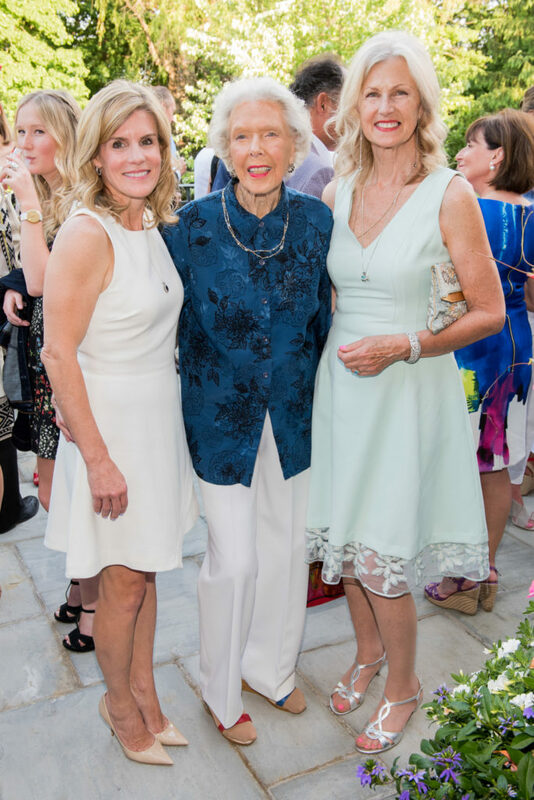 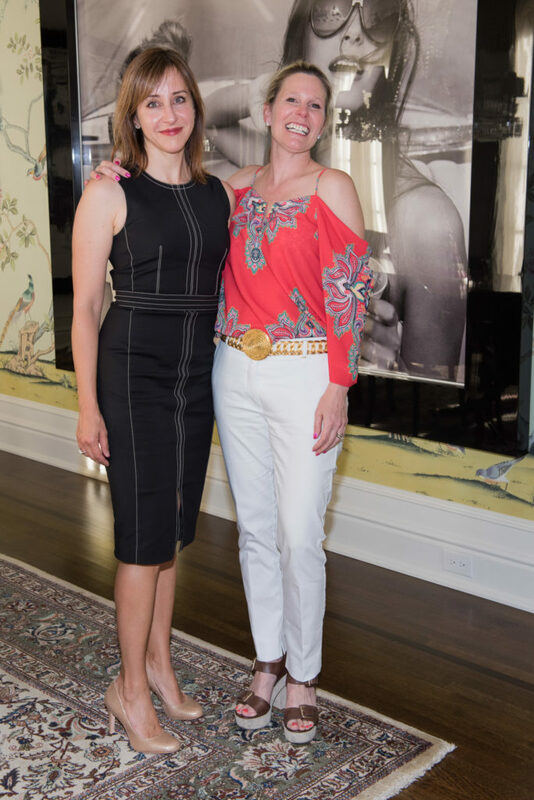 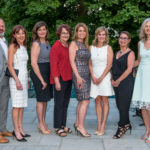 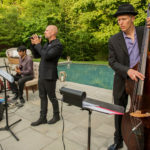 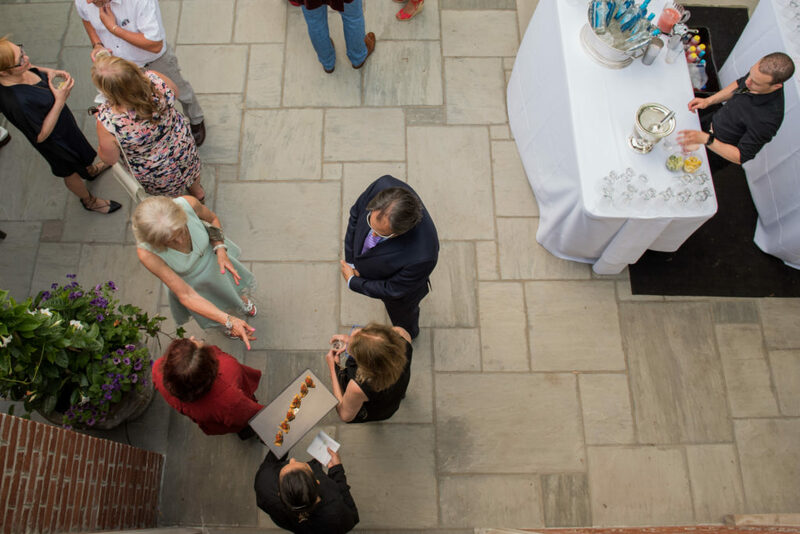 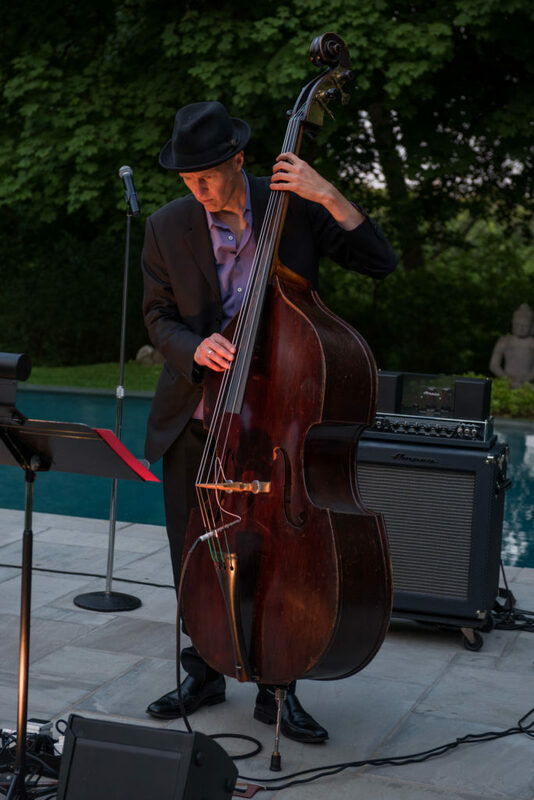 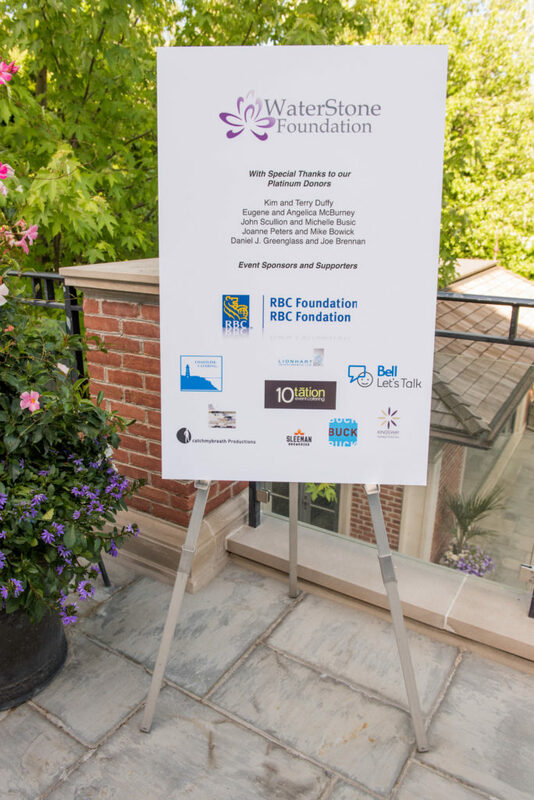 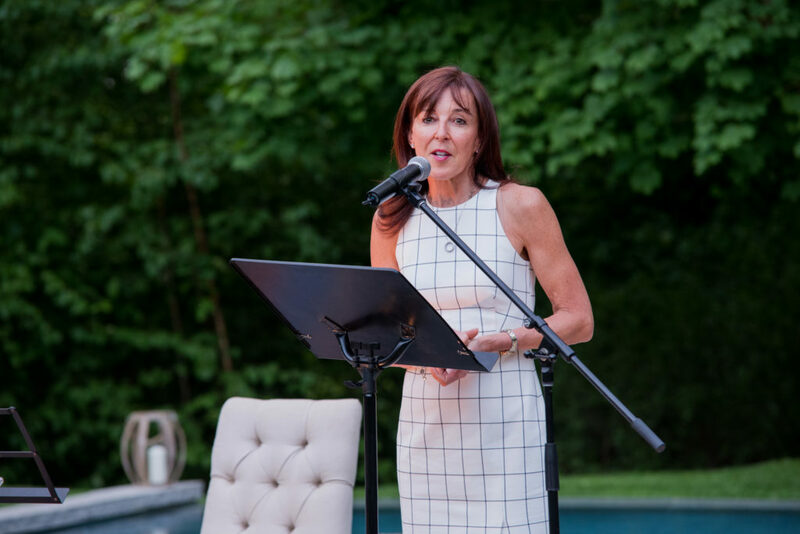 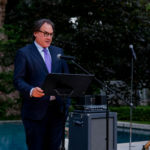 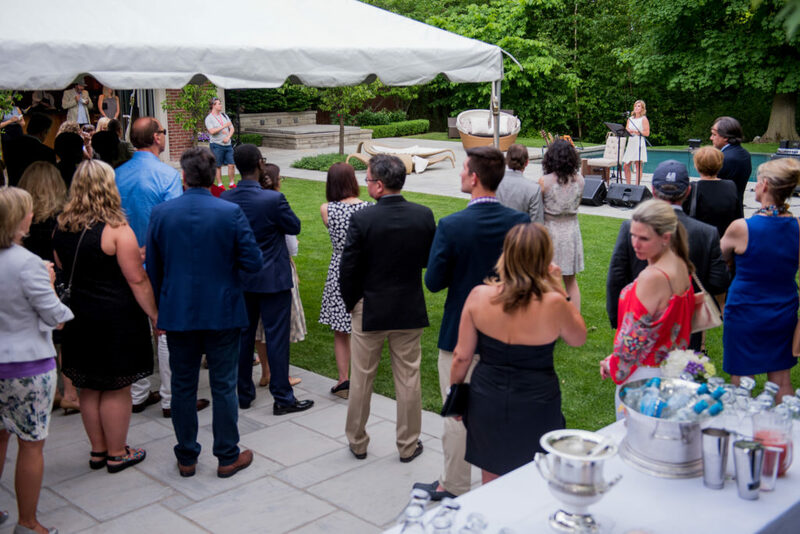 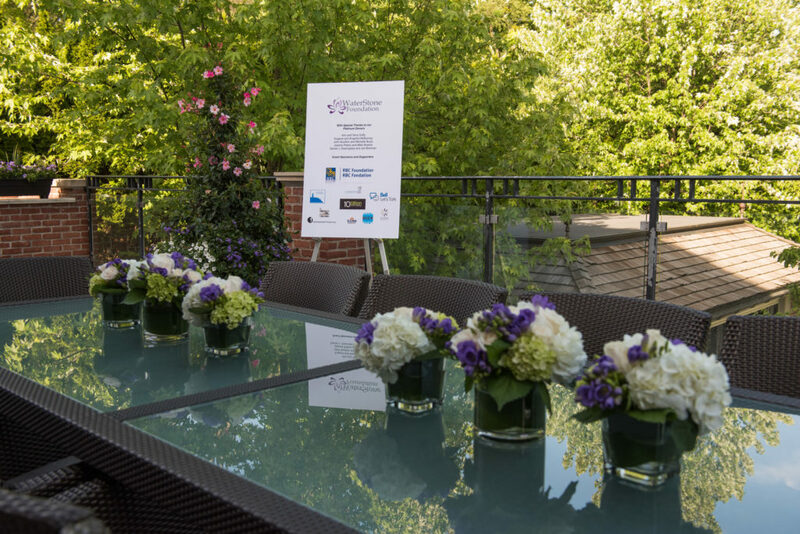 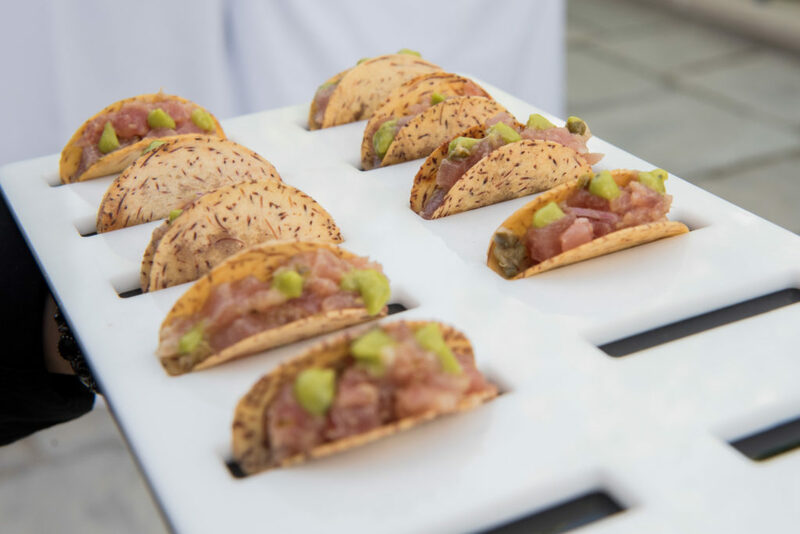 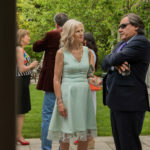 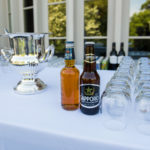 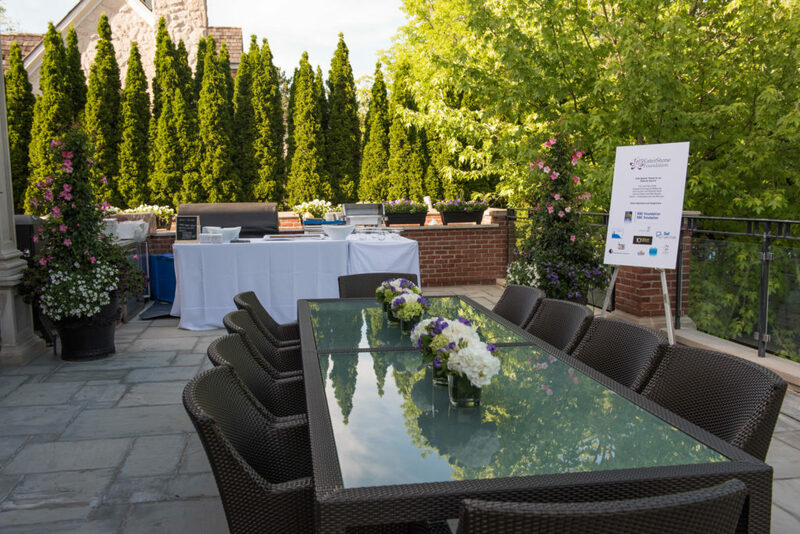 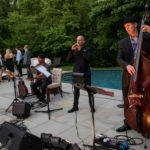 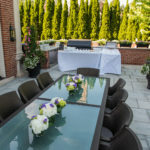 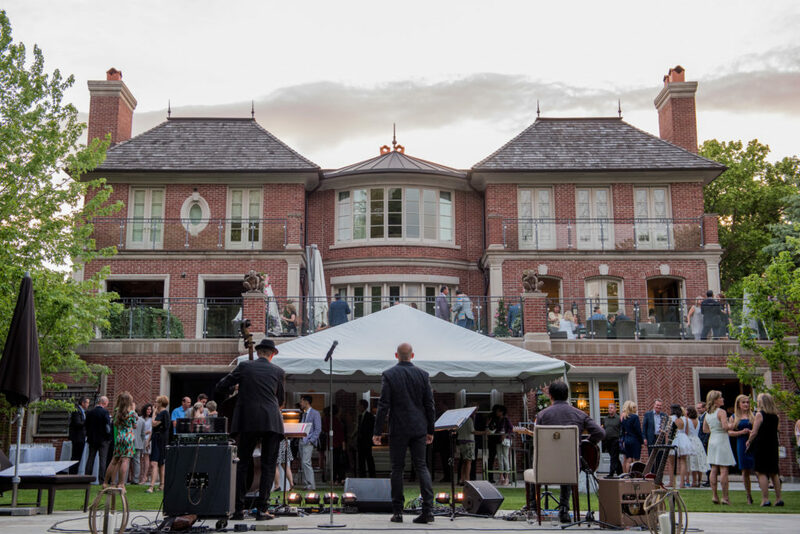 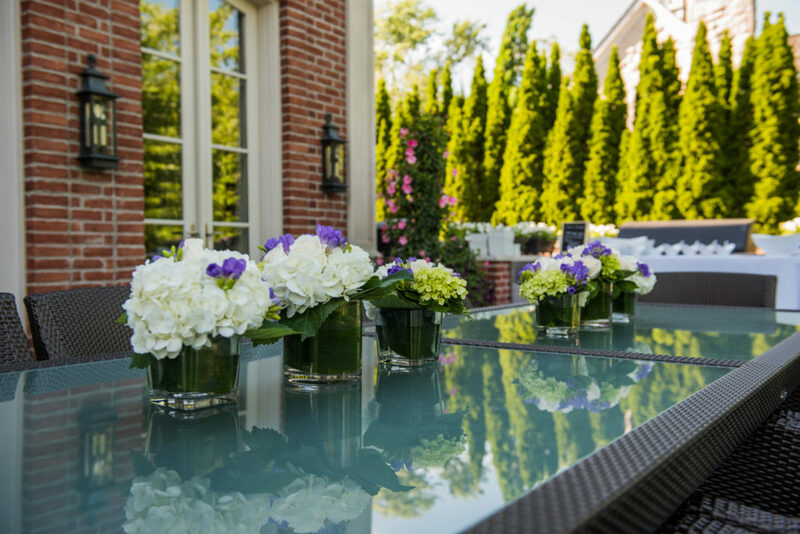 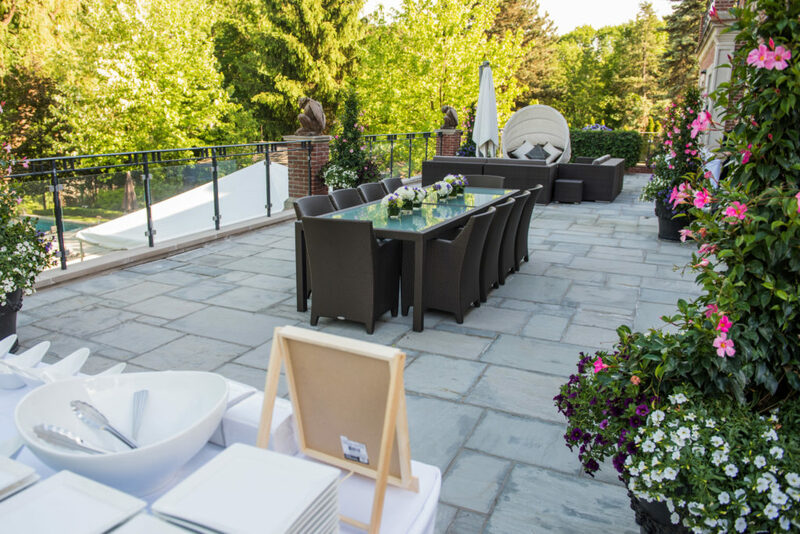 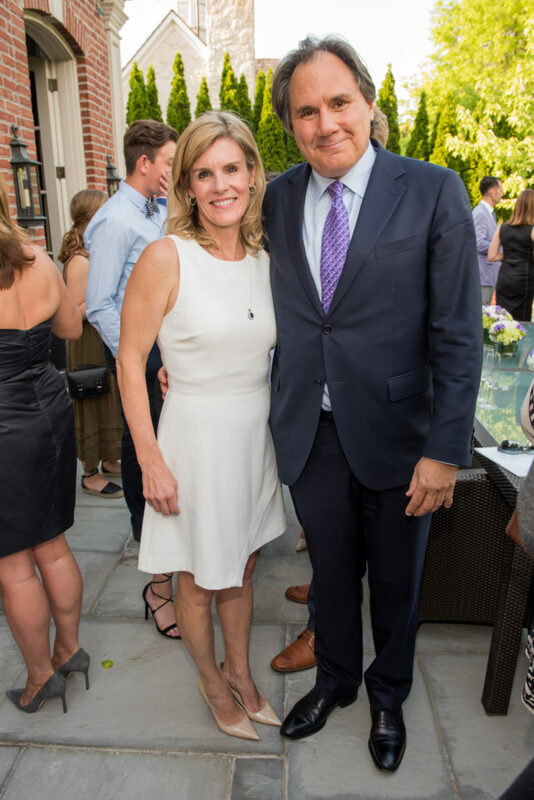 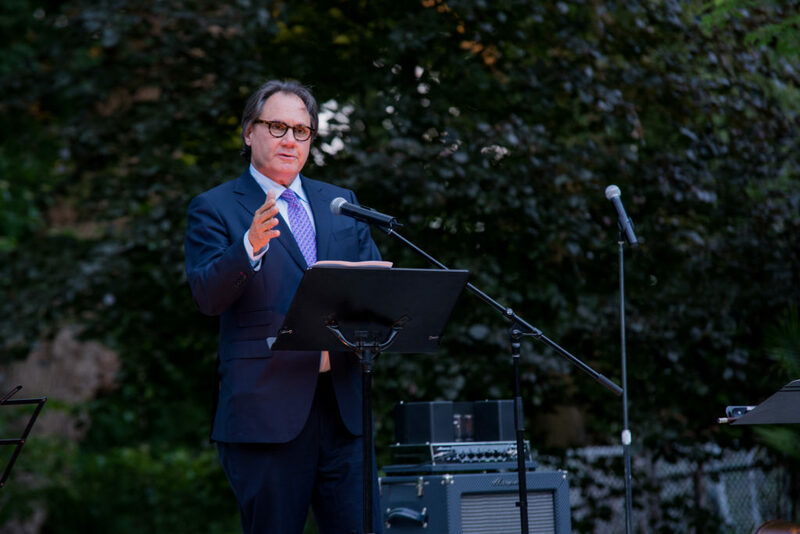 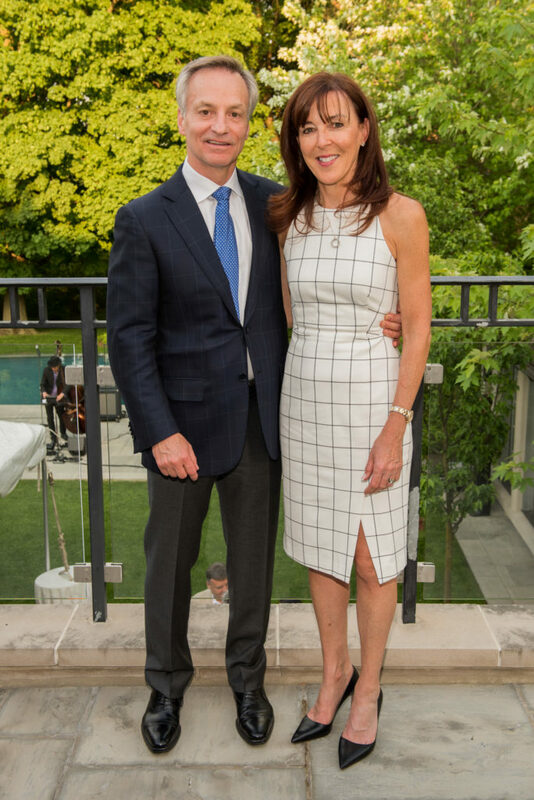 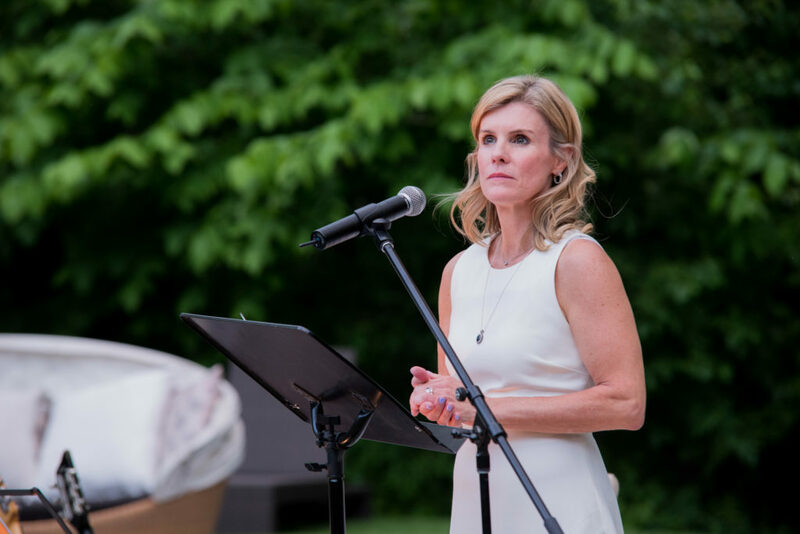 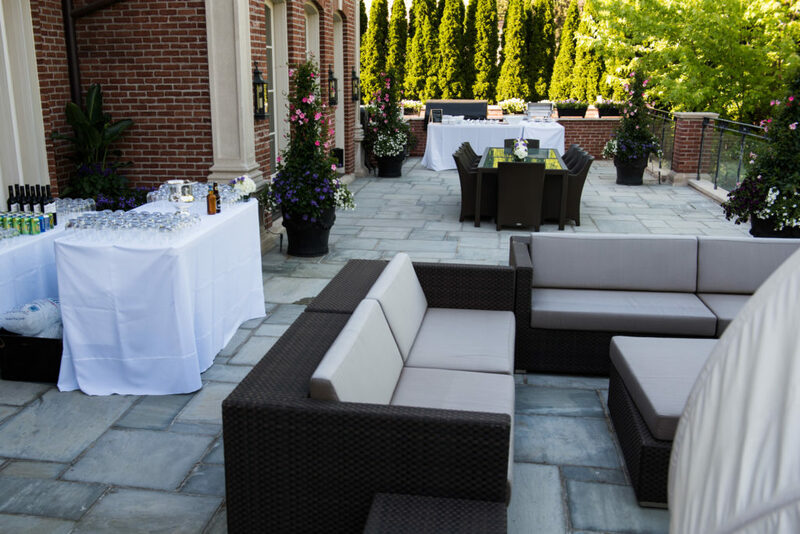 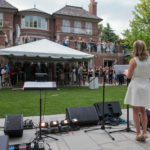 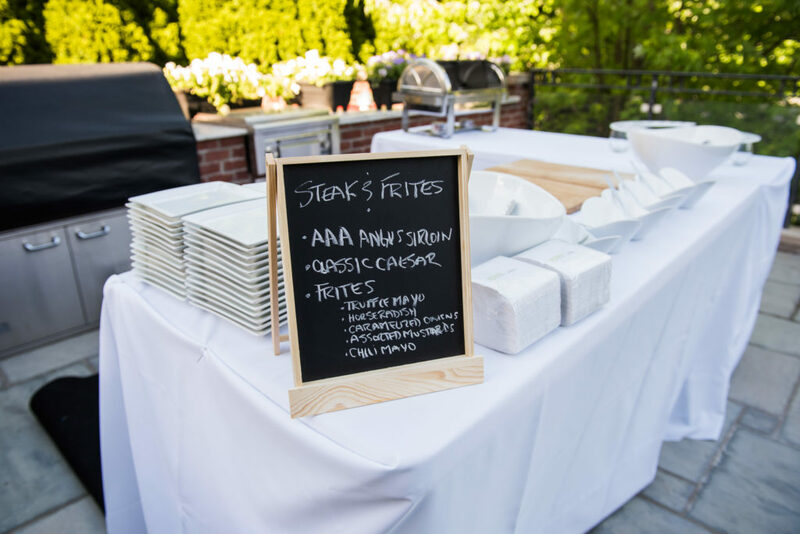 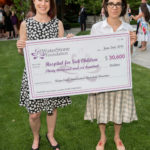 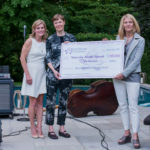 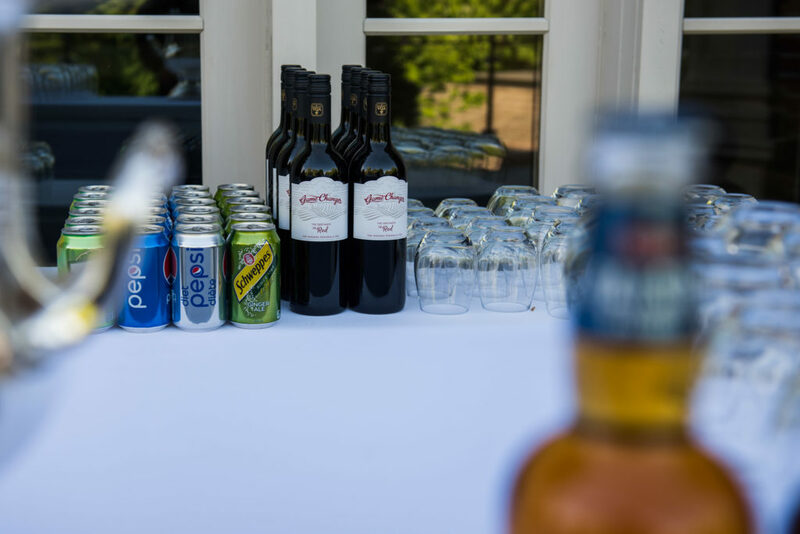 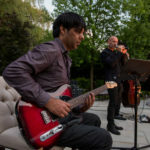 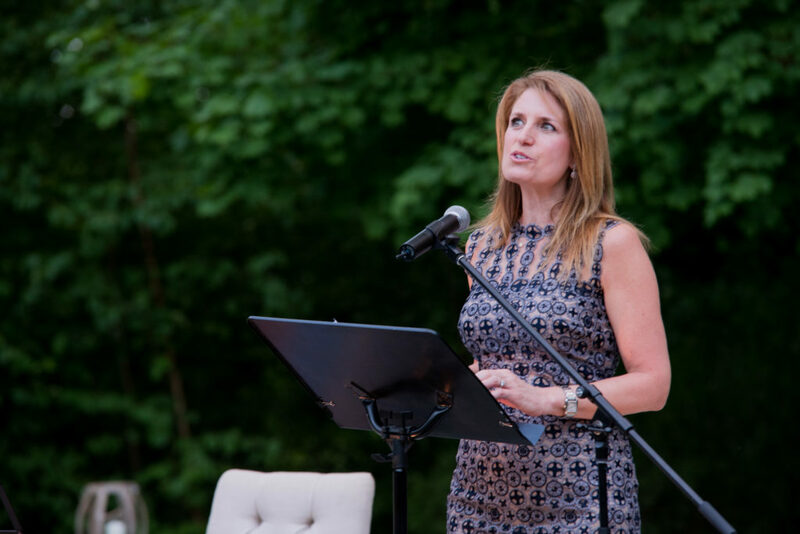 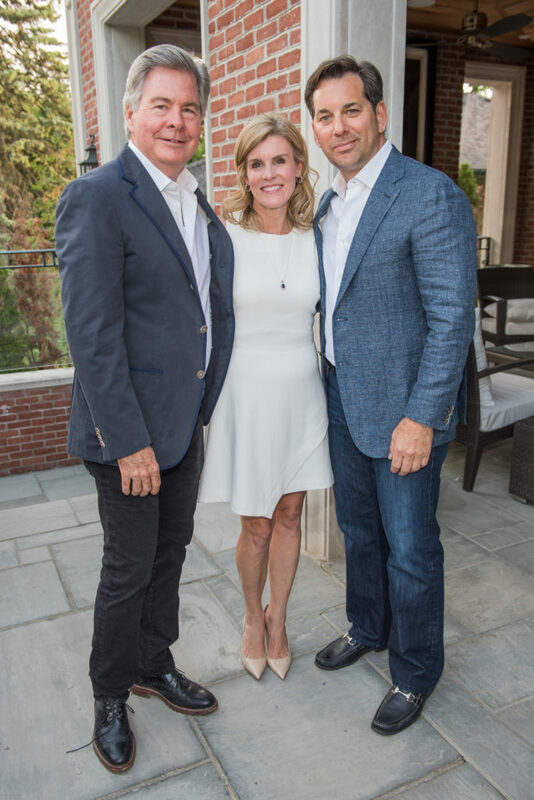 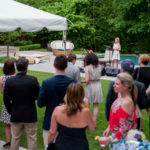 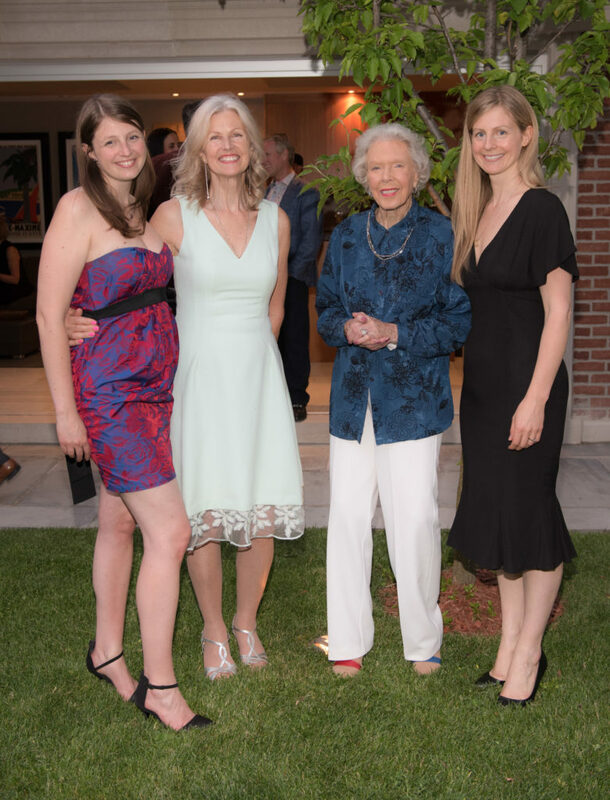 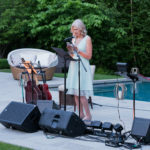 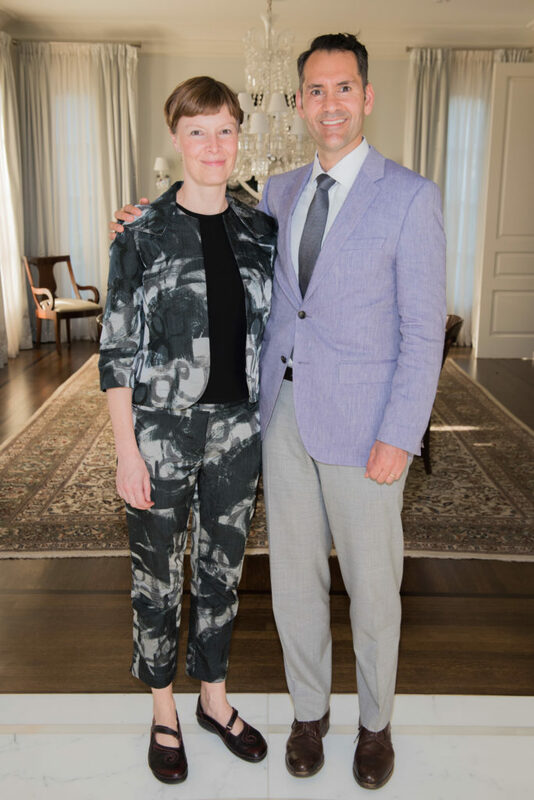 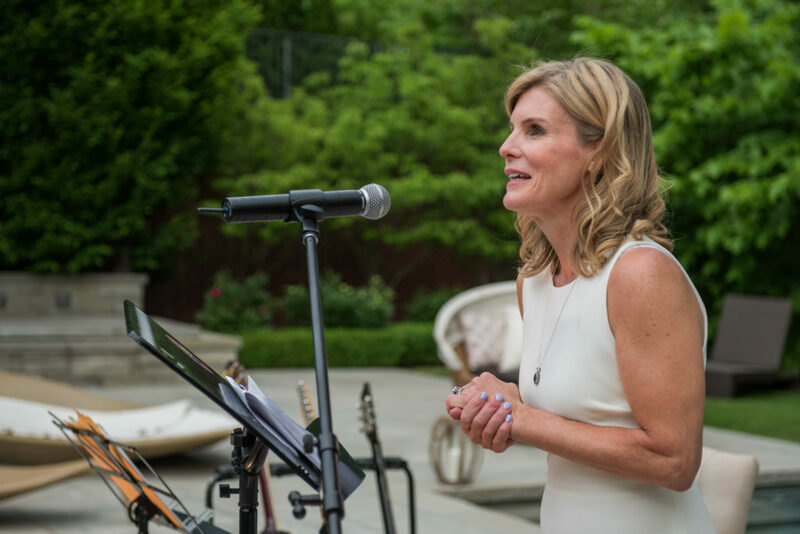 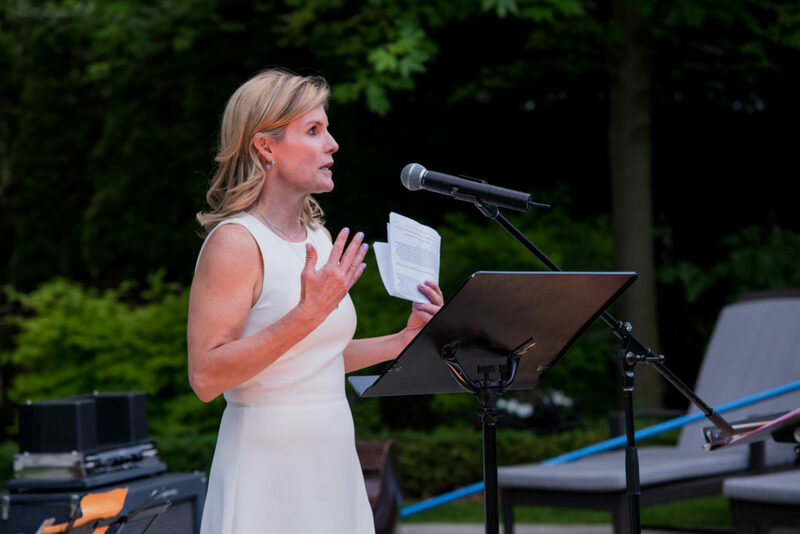 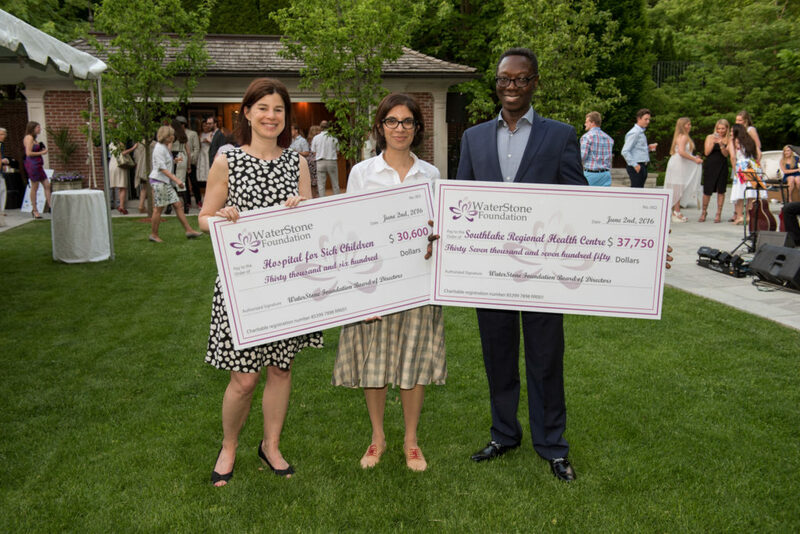 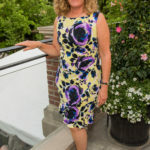 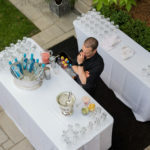 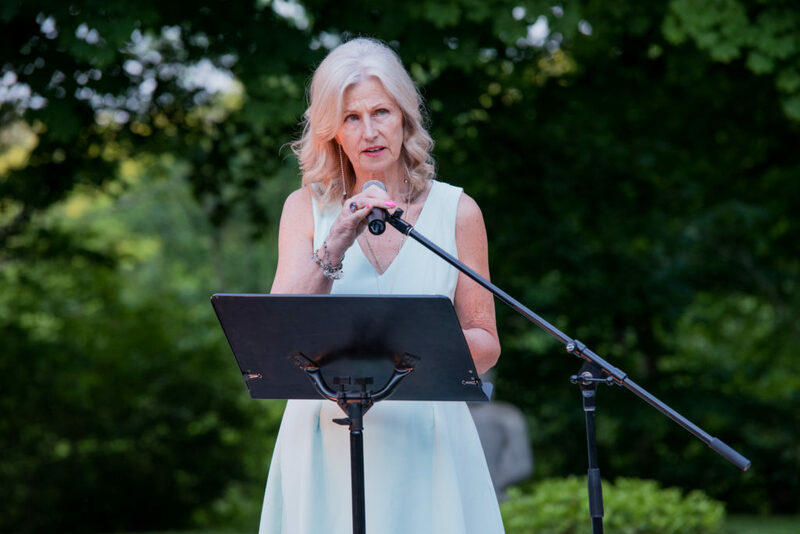 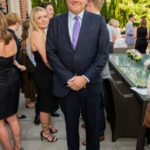 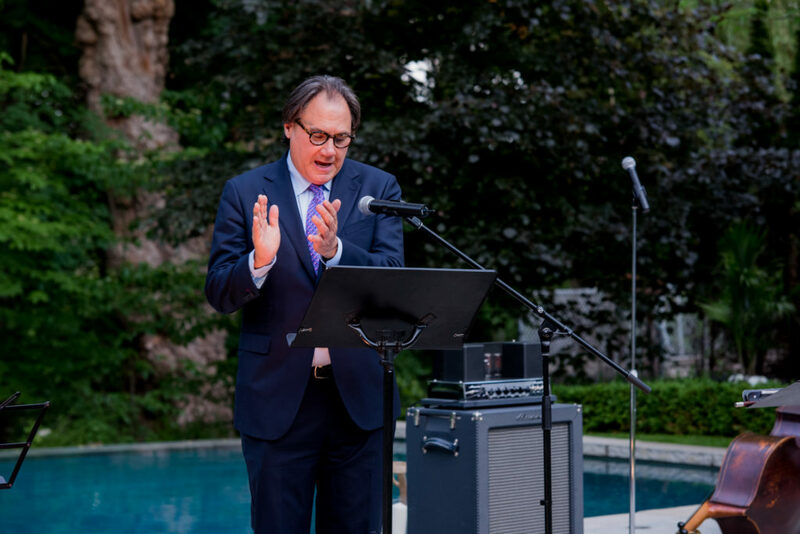 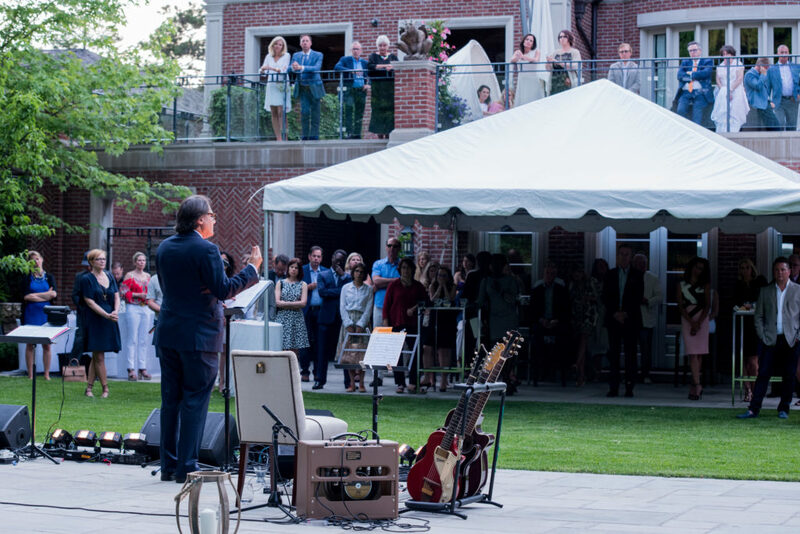 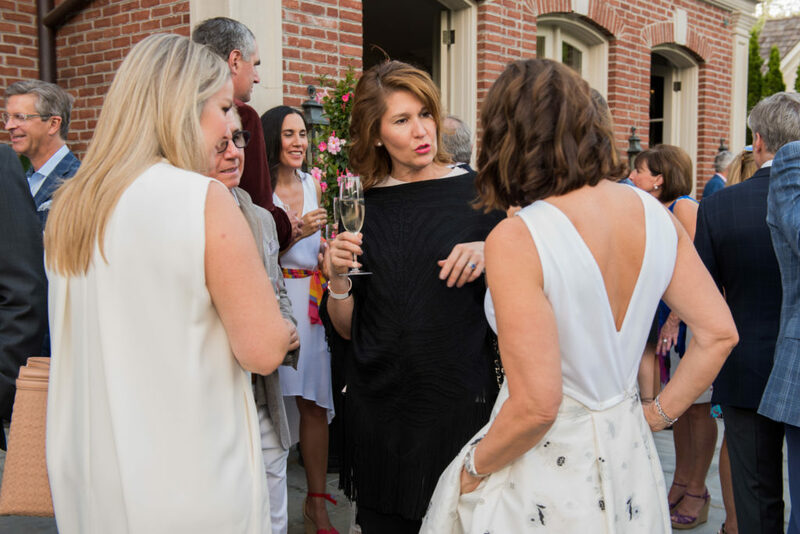 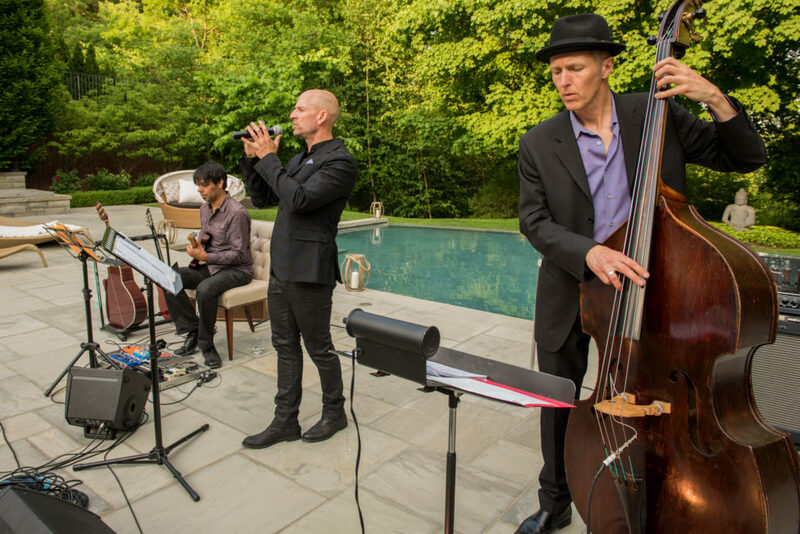 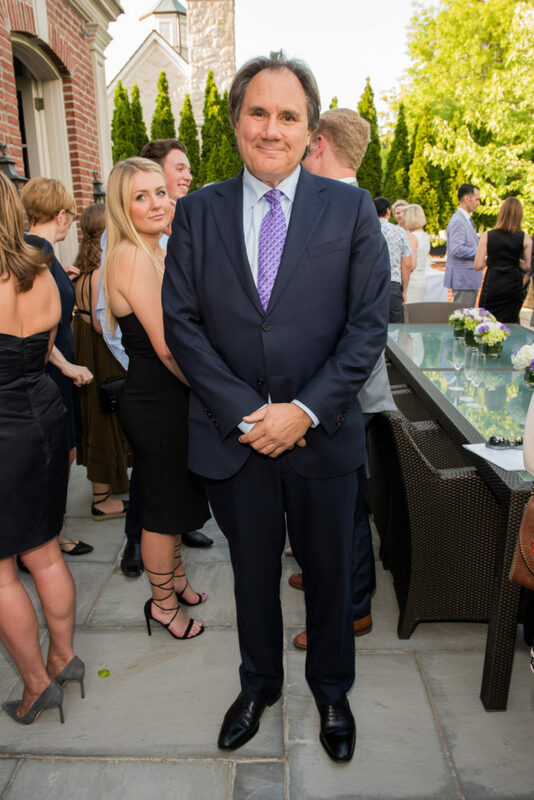 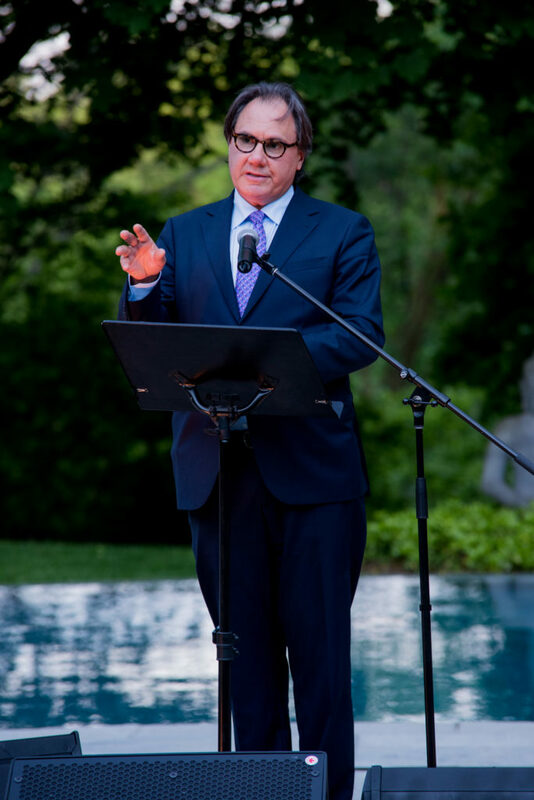 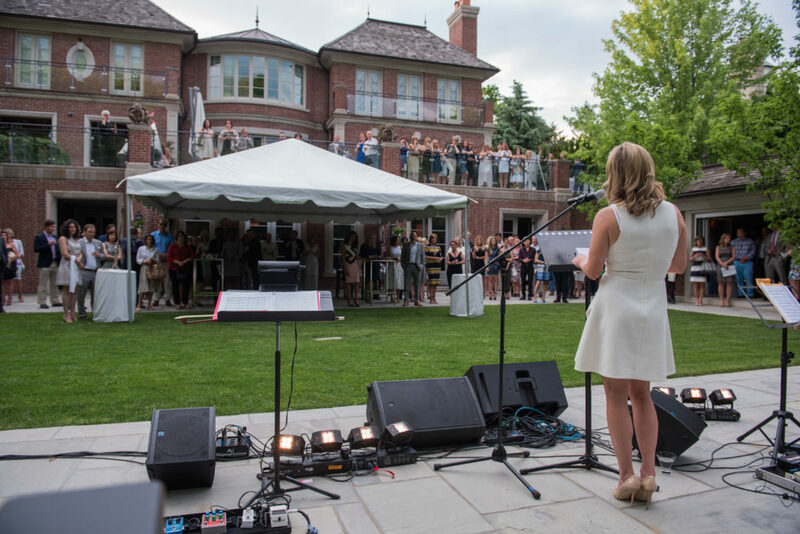 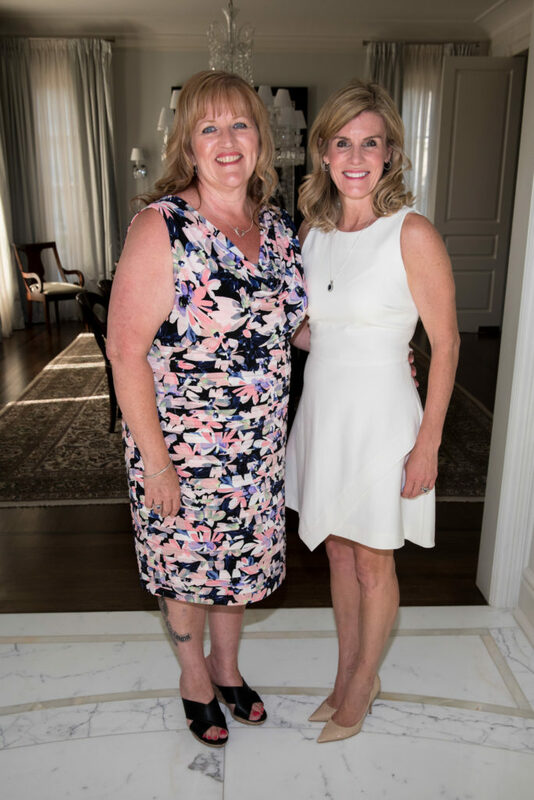 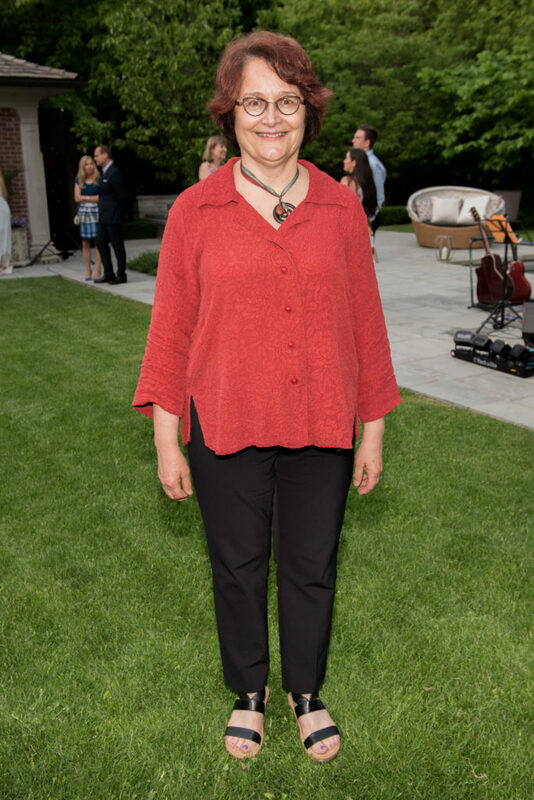 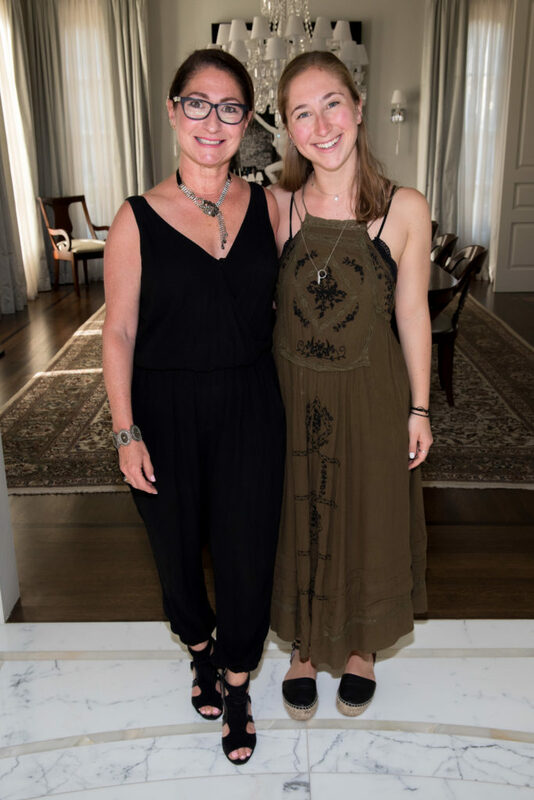 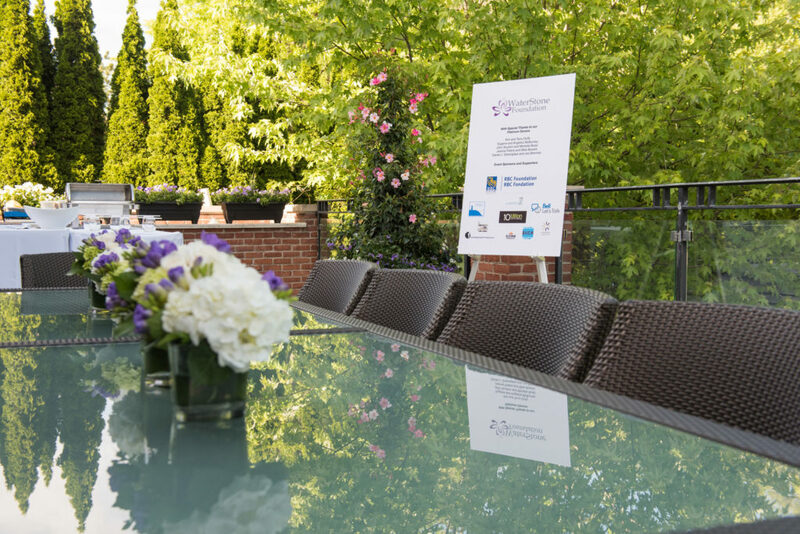 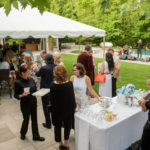 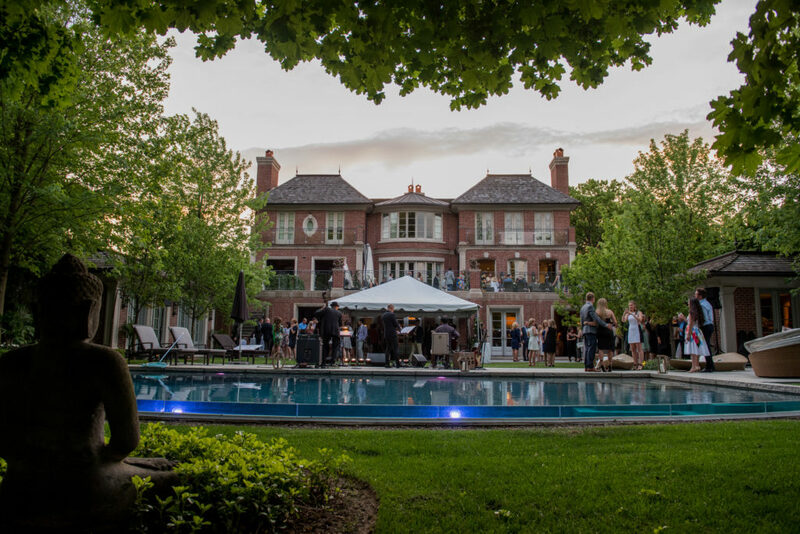 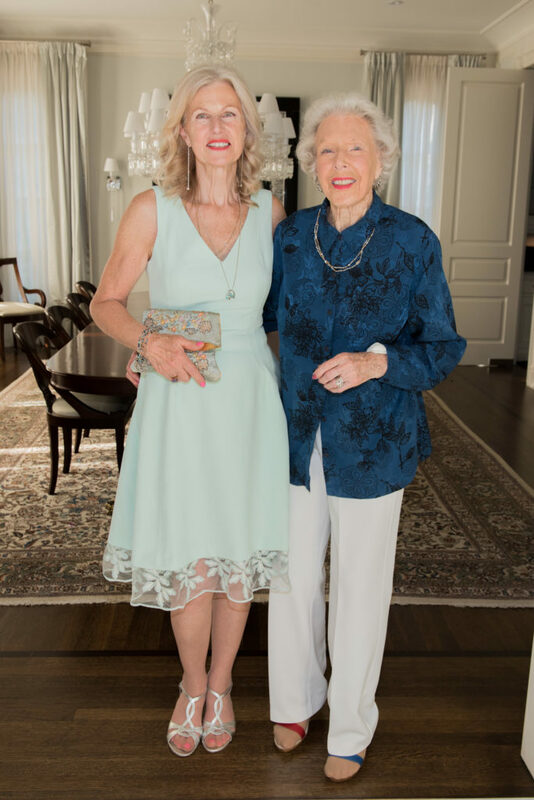 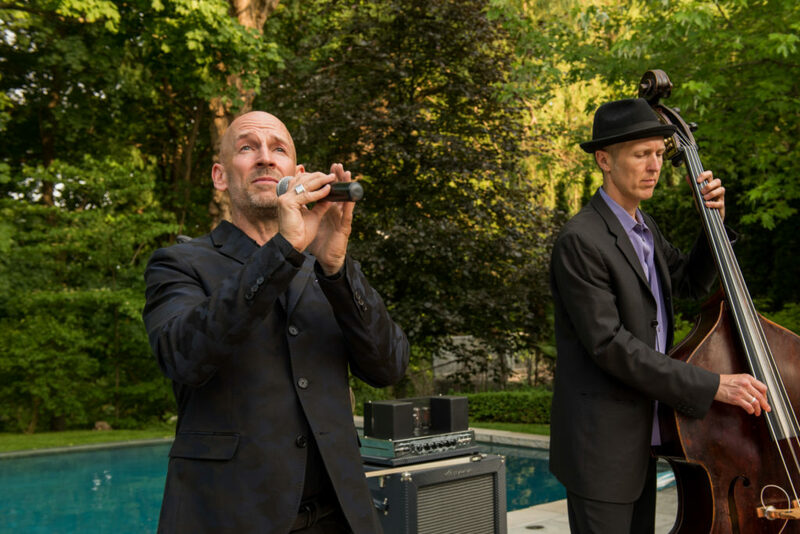 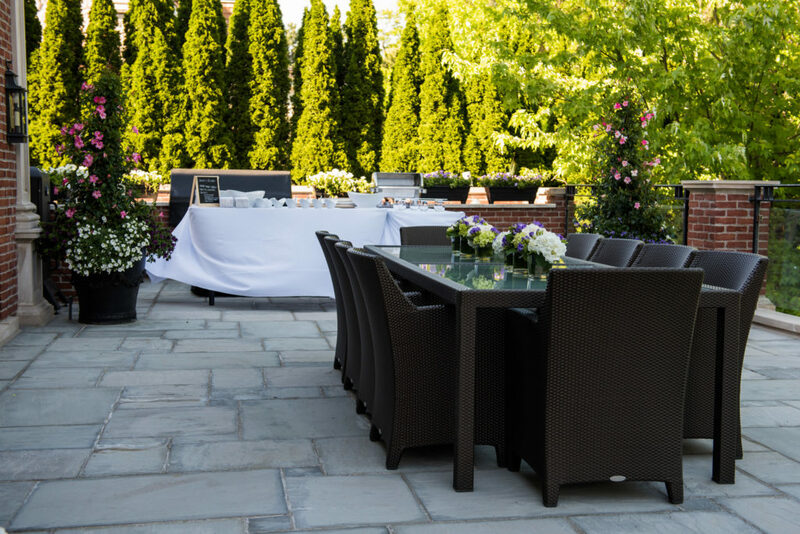 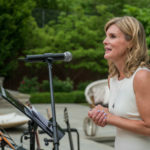 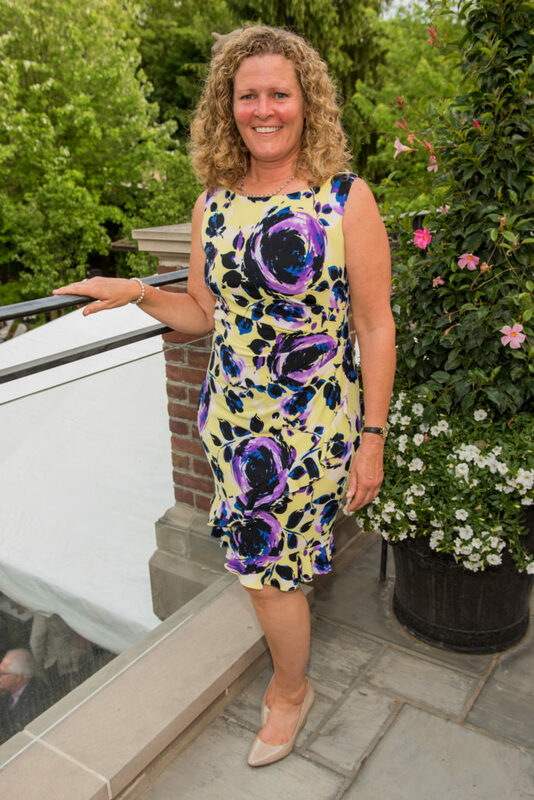 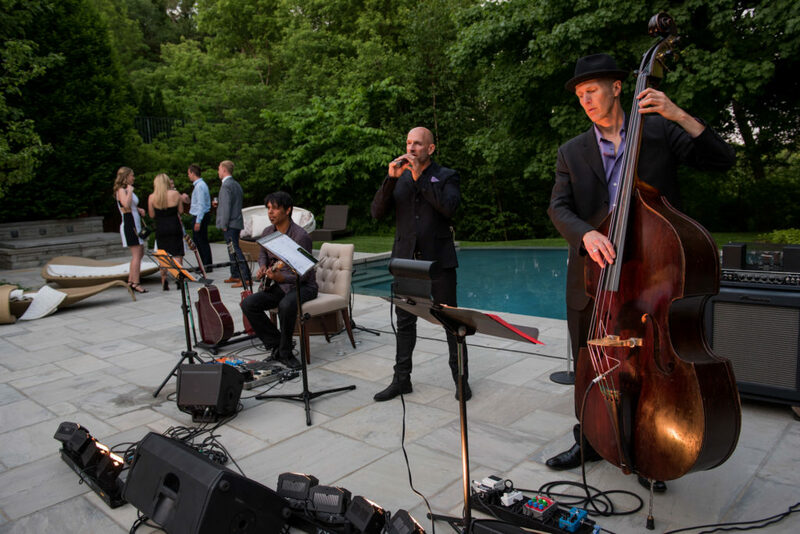 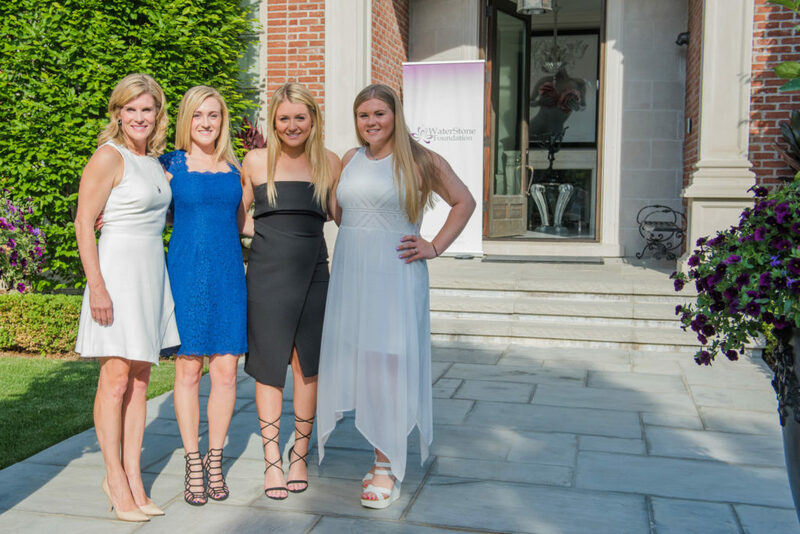 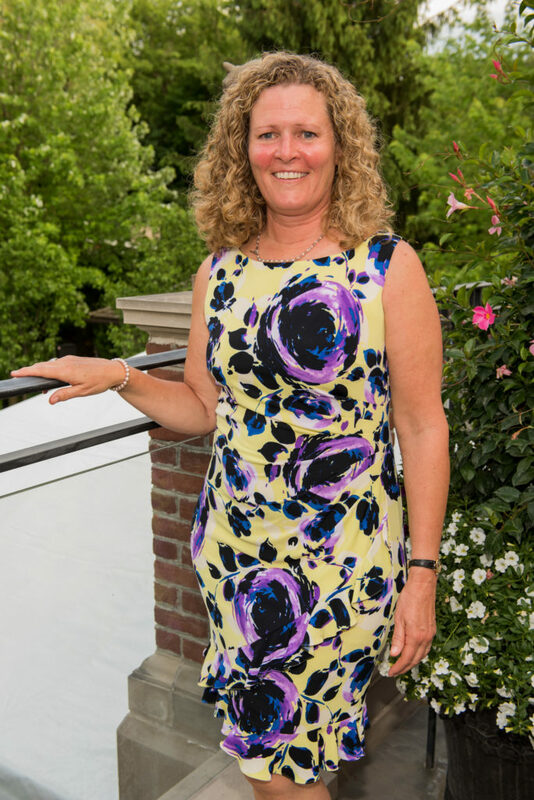 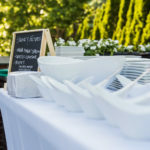 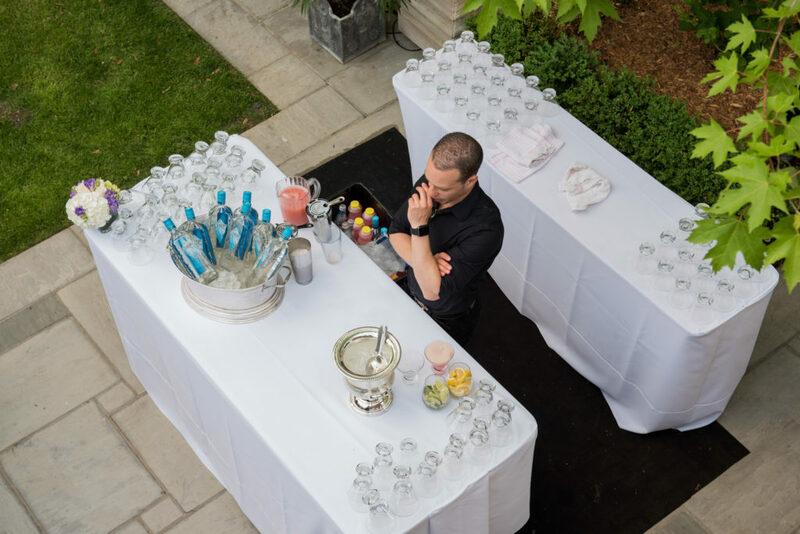 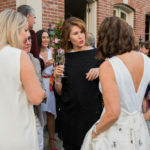 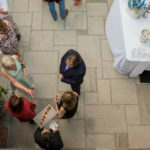 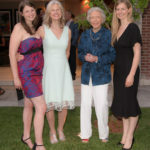 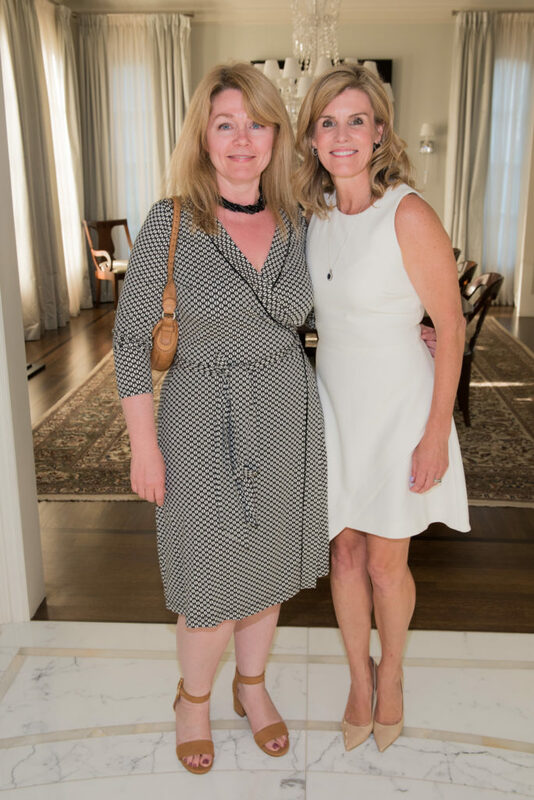 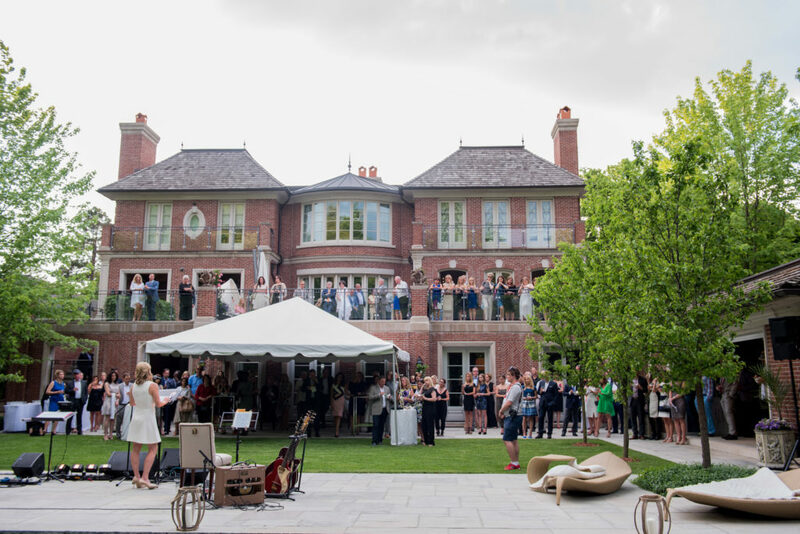 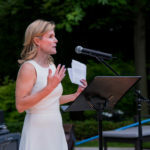 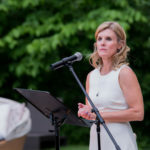 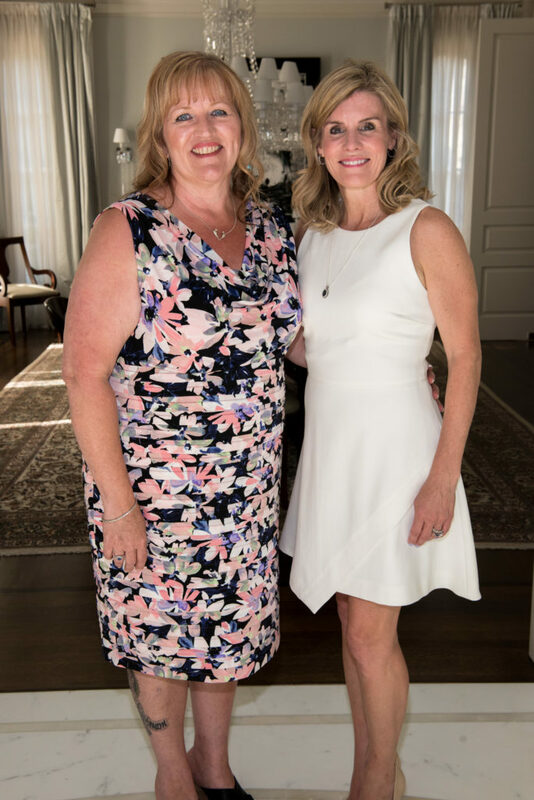 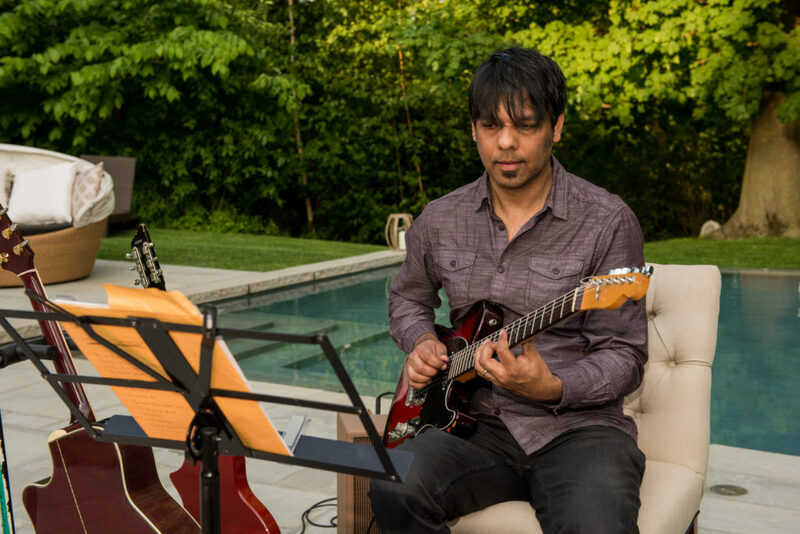 Last night, Torontonians gathered at a the WaterStone Foundation’s second annual private fundraiser to enjoy a perfect summer evening at a Garden Party Reception, hosted by WaterStone founder and Board Chair Kim Duffy. 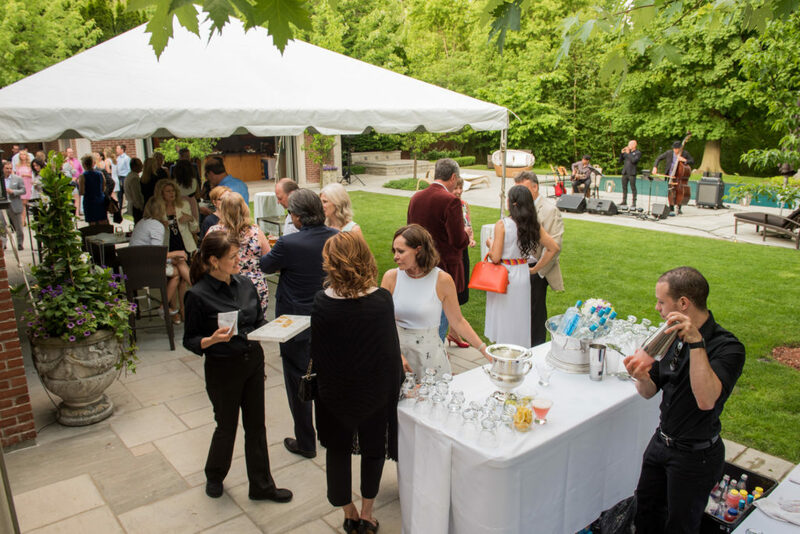 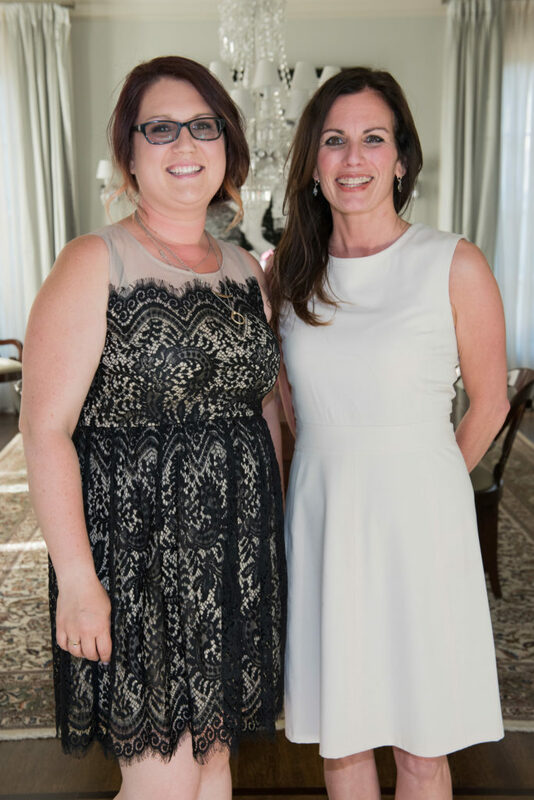 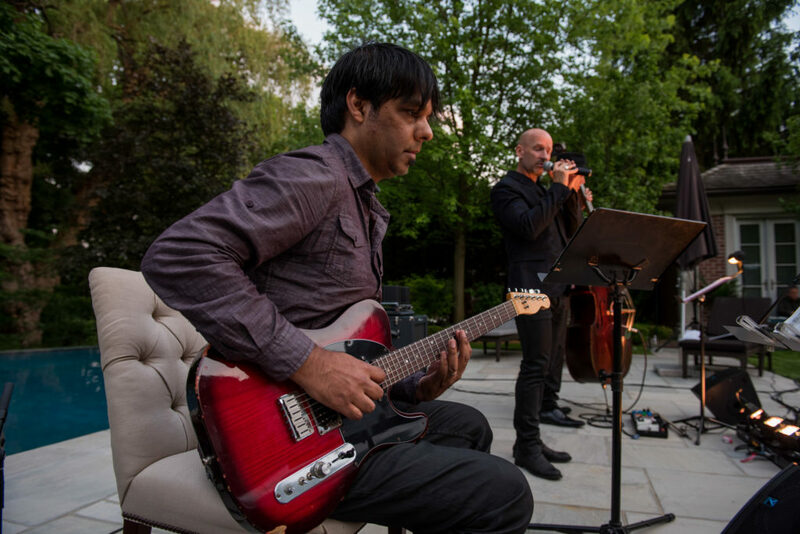 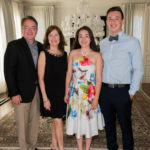 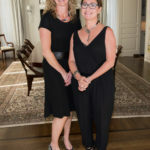 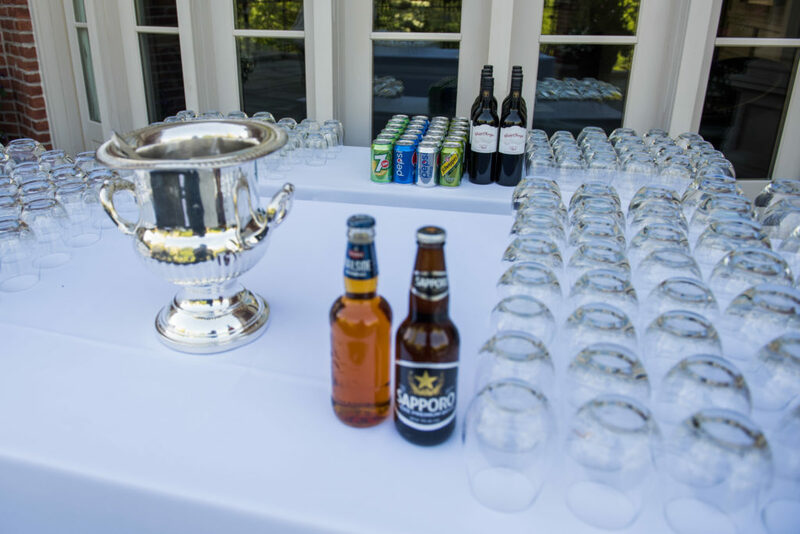 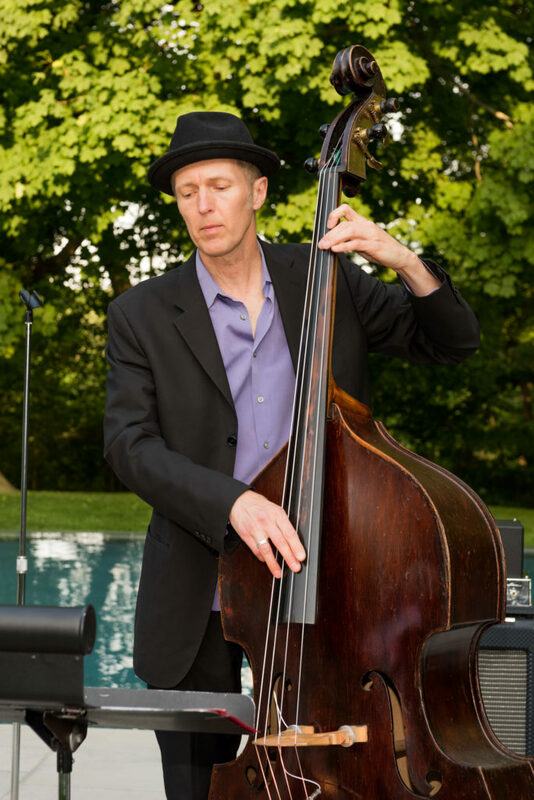 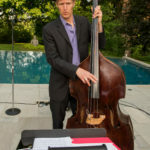 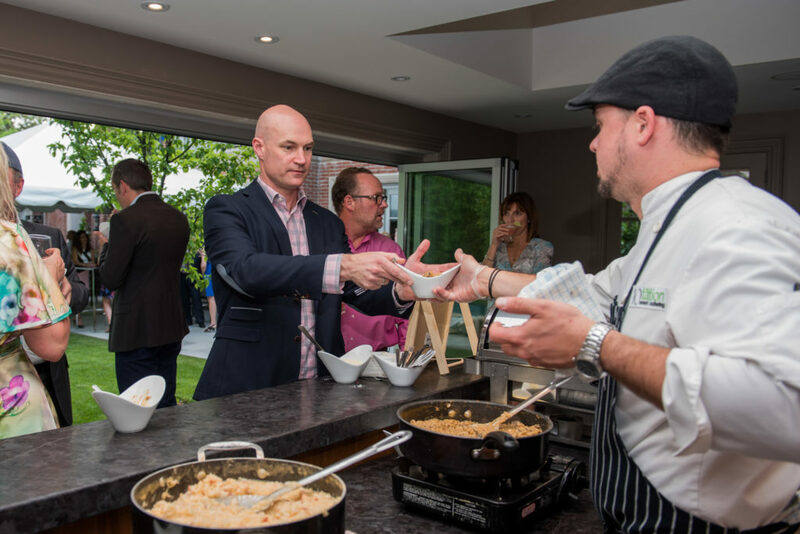 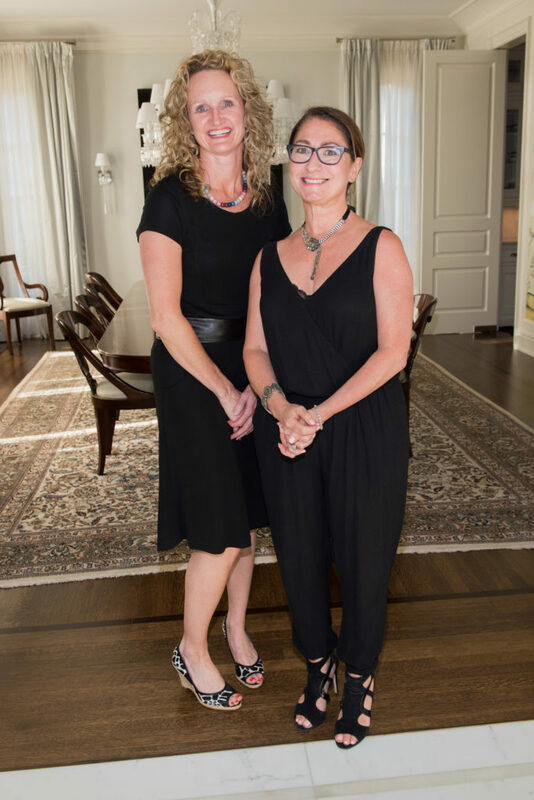 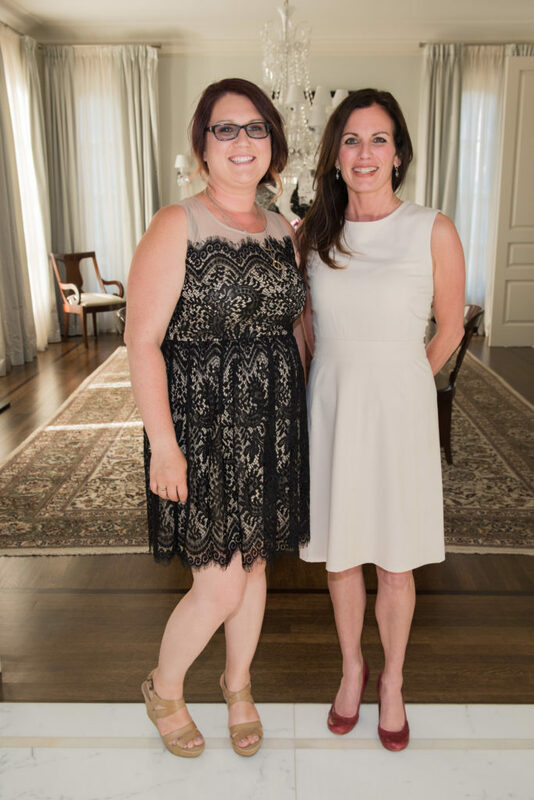 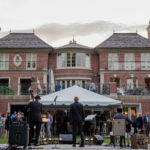 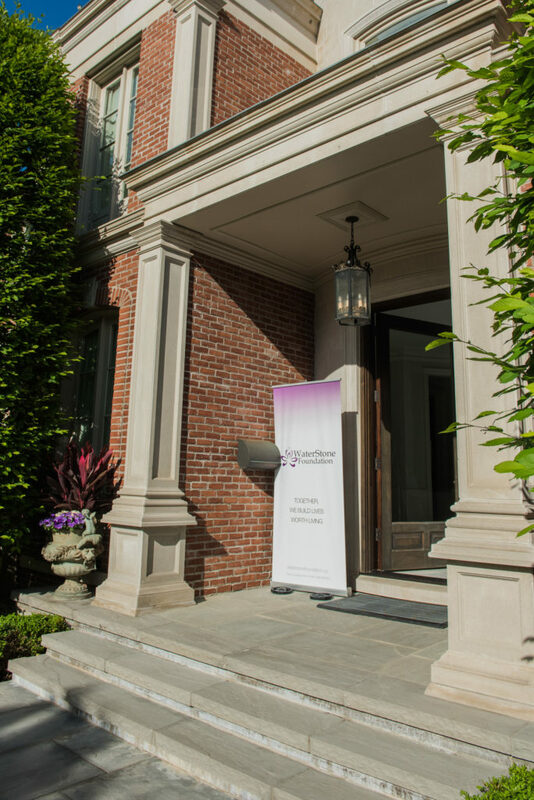 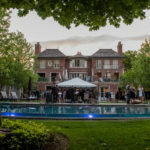 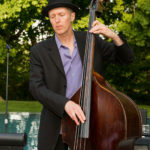 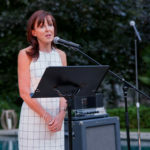 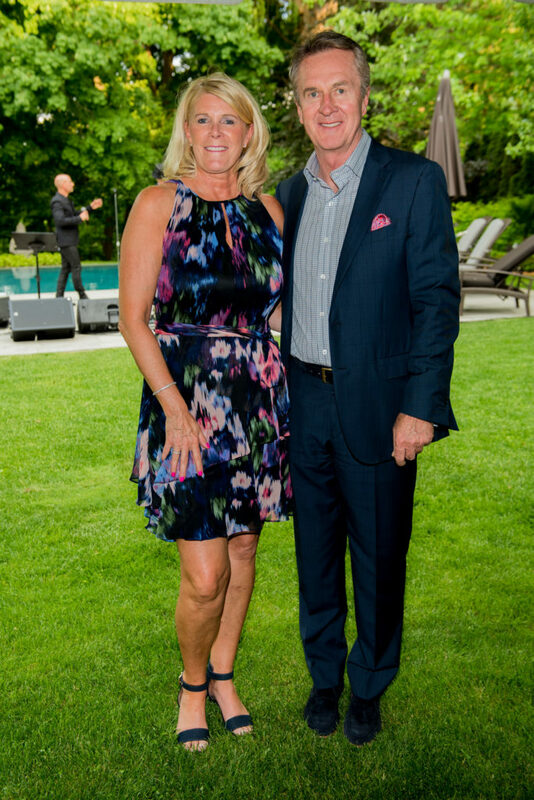 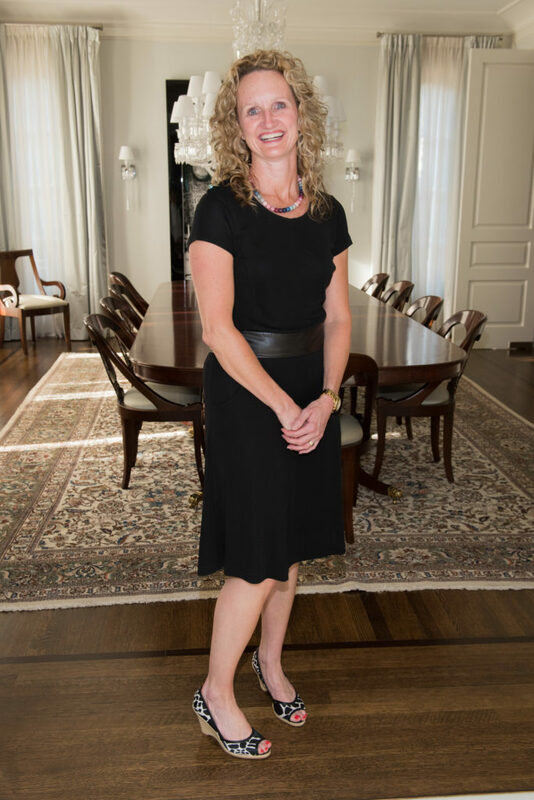 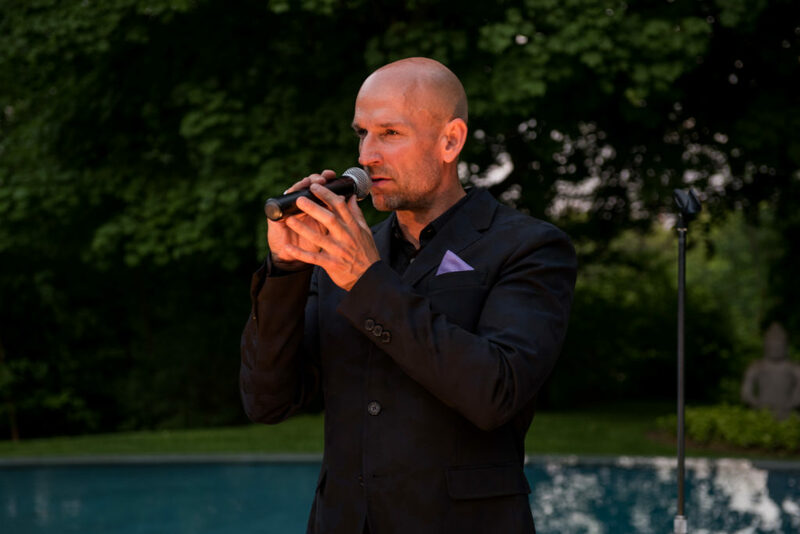 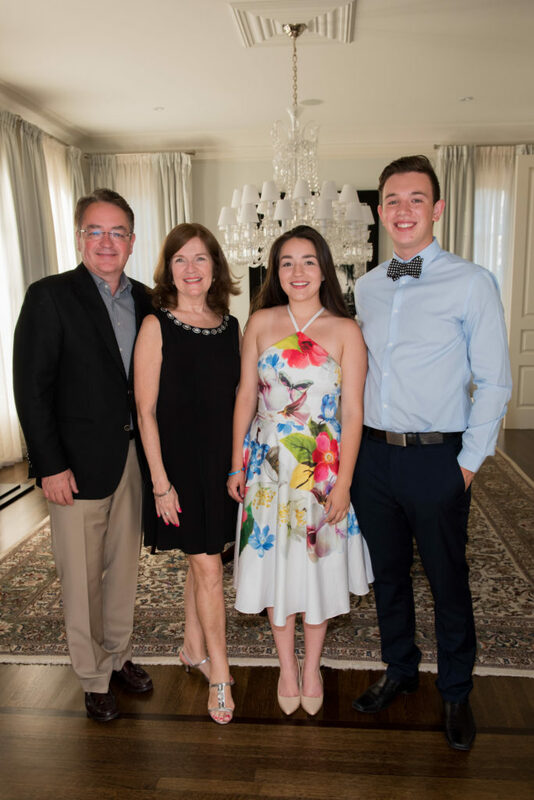 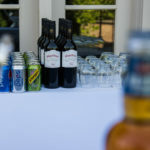 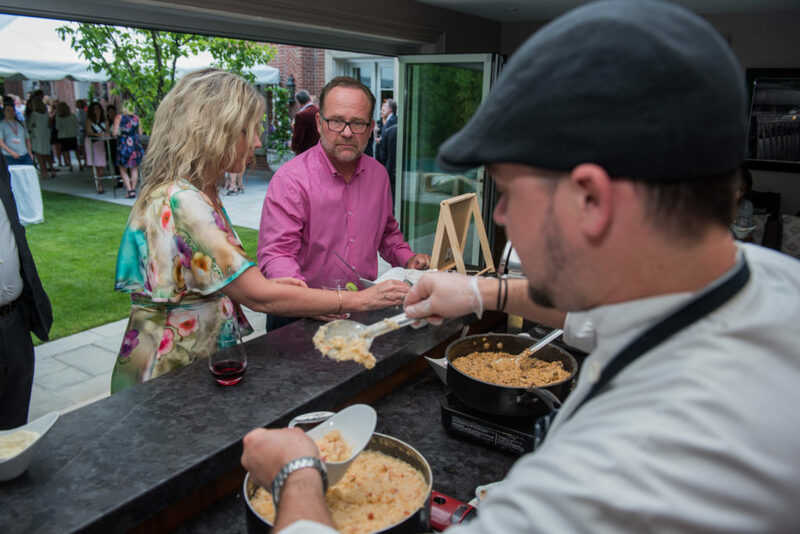 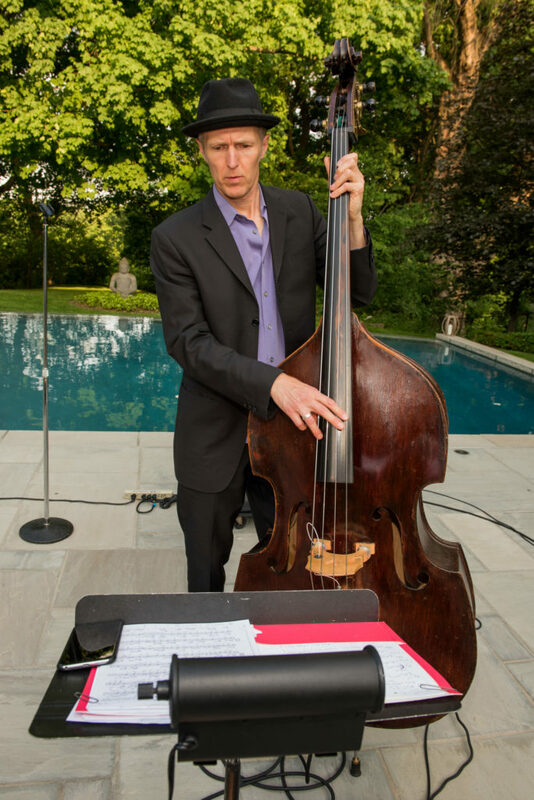 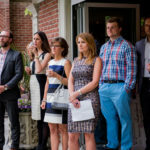 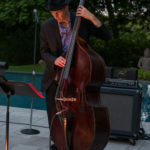 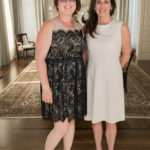 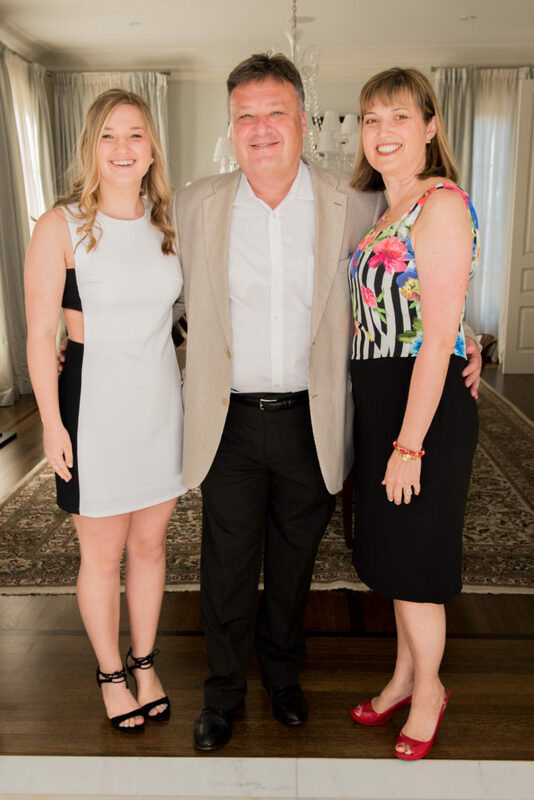 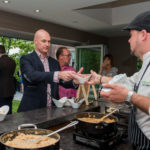 Nearly 150 guests were graciously welcomed at the stunning Etobicoke residence of John Scullion and Michelle Busic, WaterStone supporters. 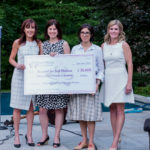 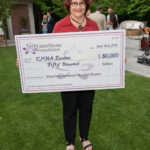 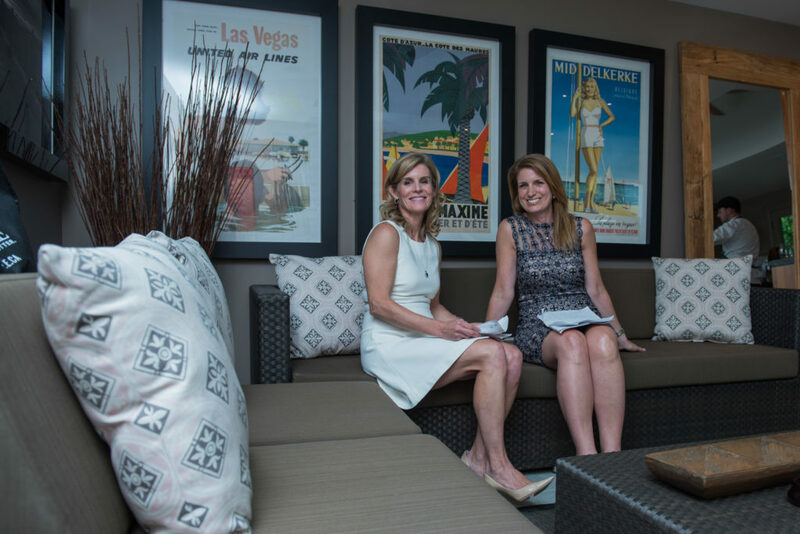 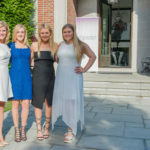 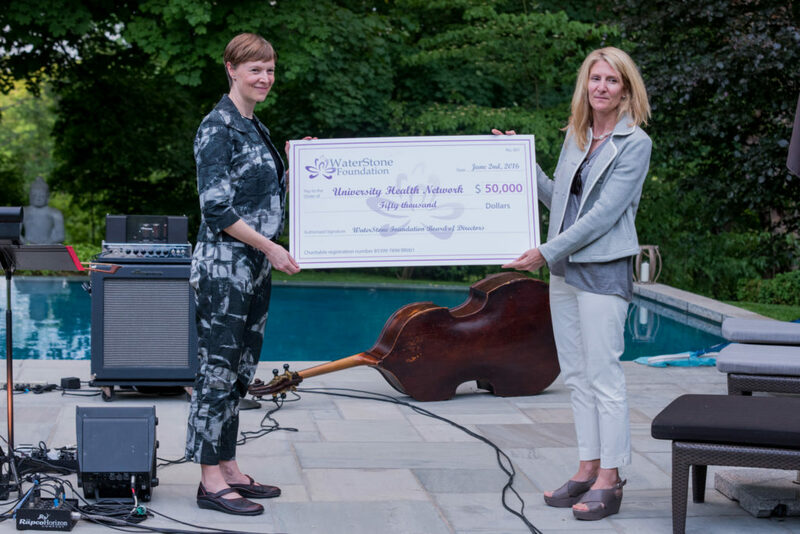 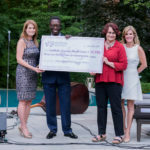 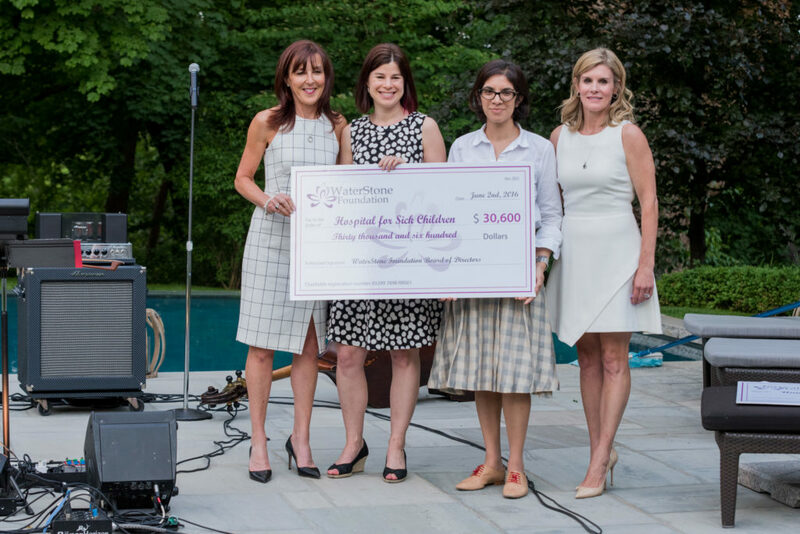 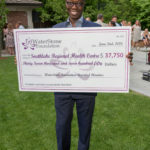 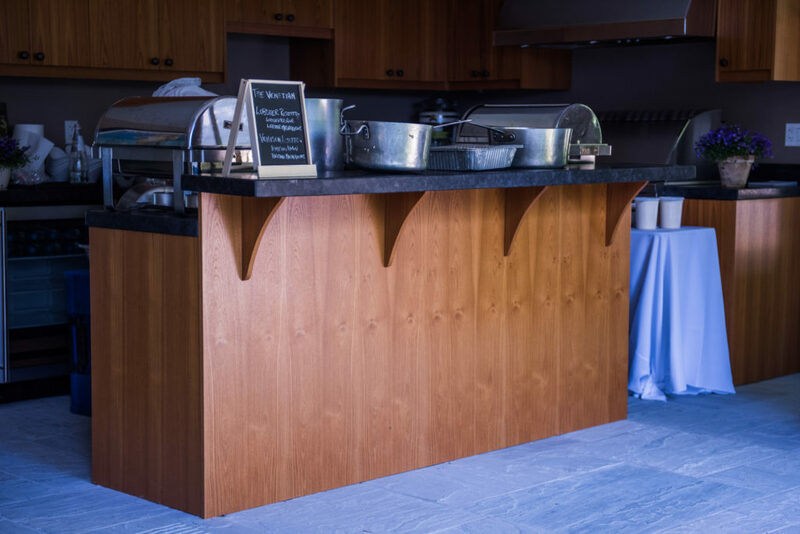 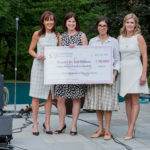 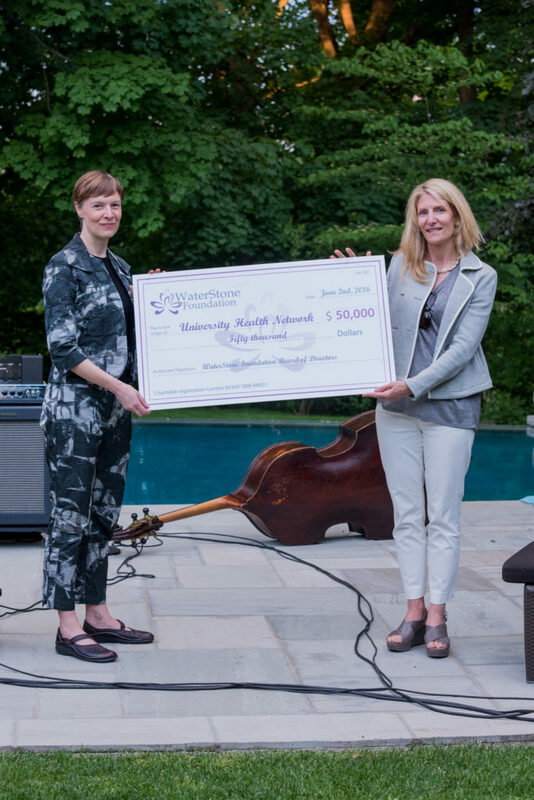 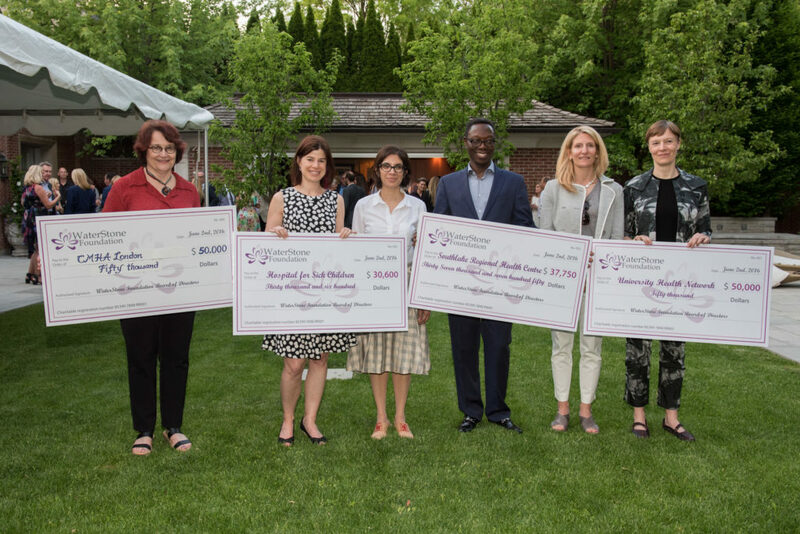 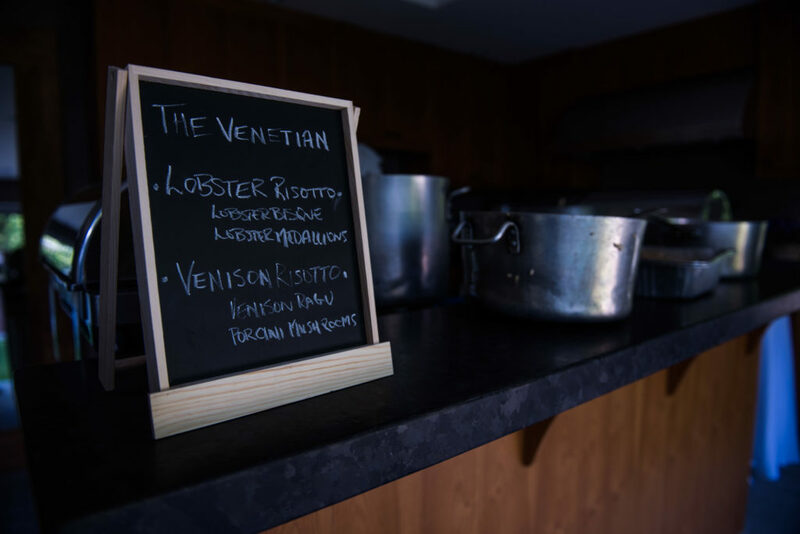 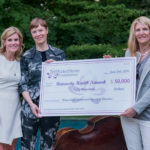 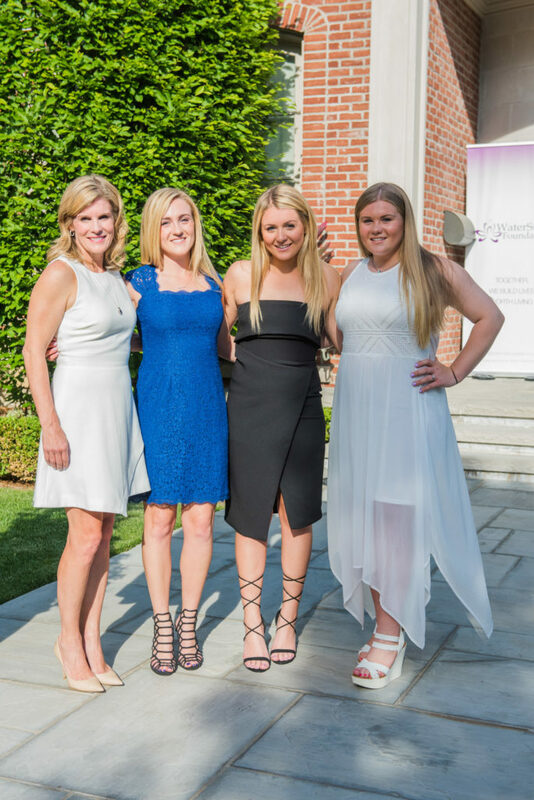 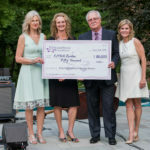 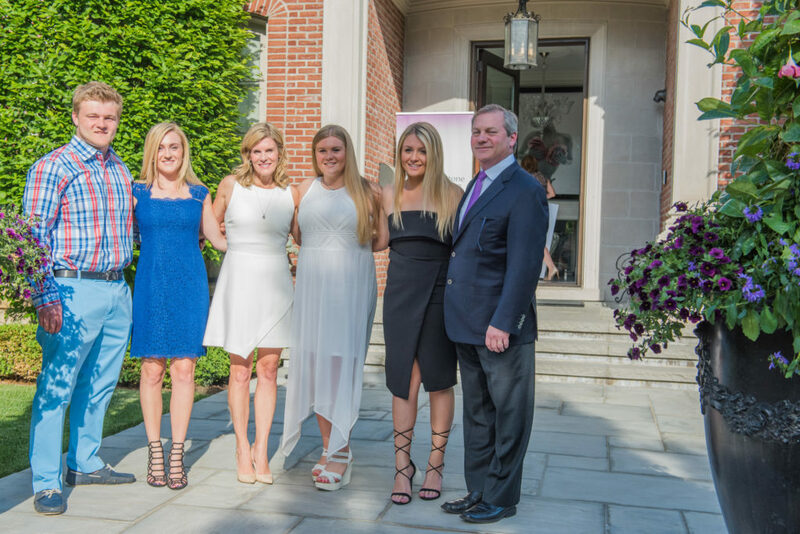 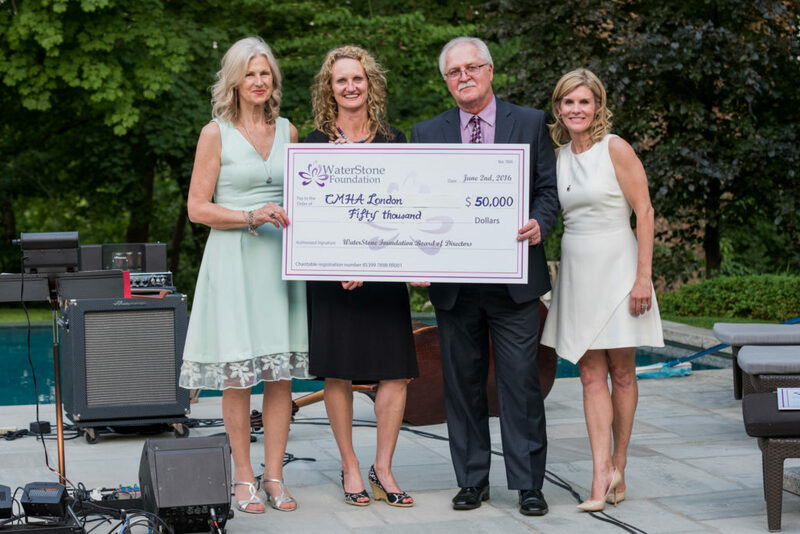 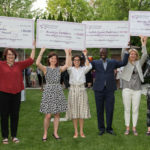 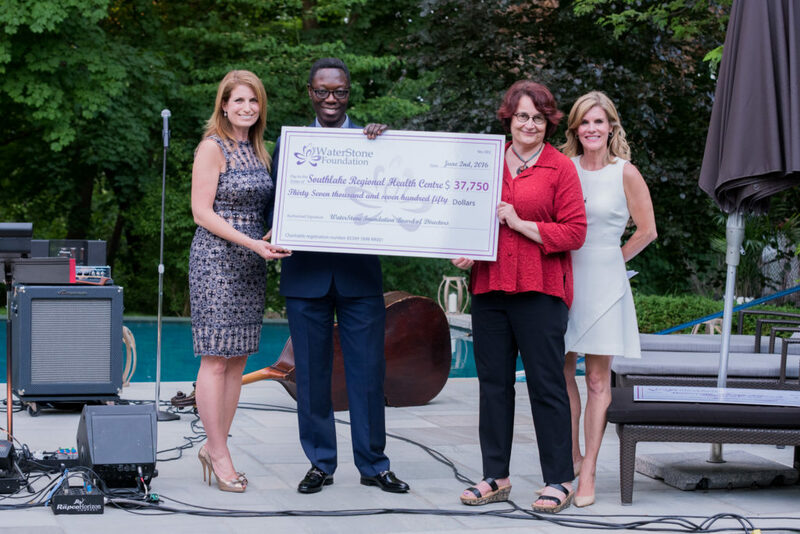 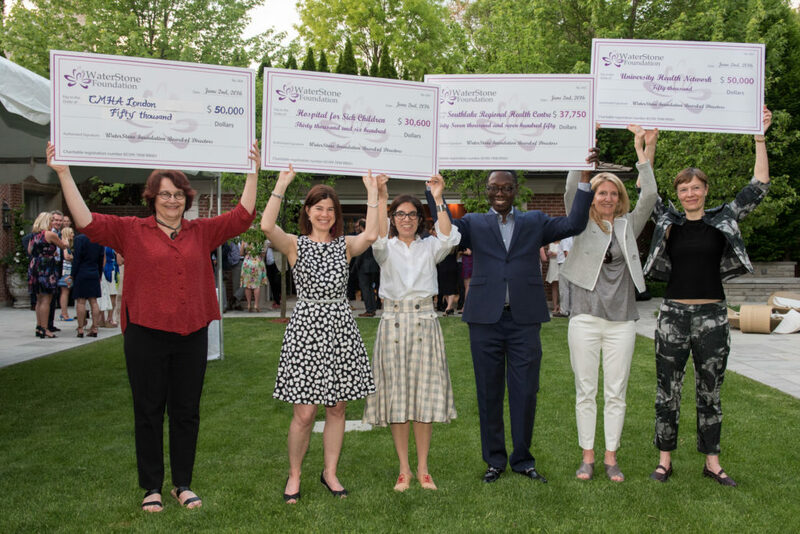 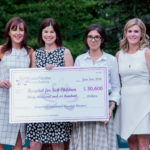 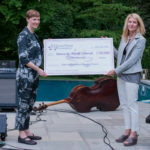 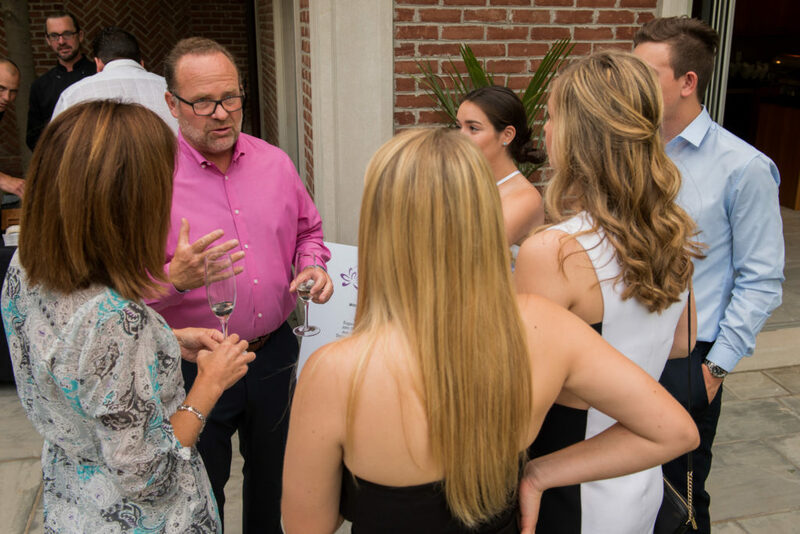 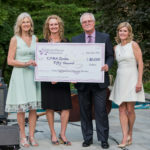 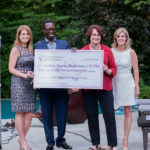 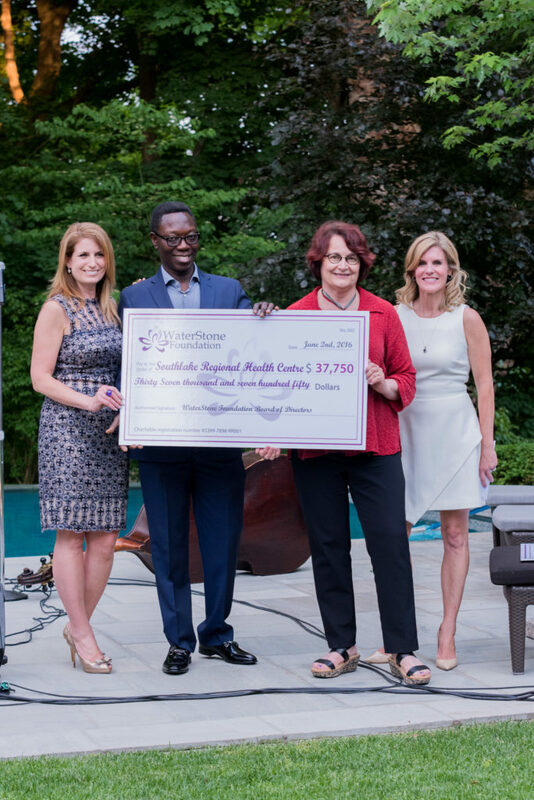 More than $175,000 was raised and used to continue funding eating disorder programs where the need is greatest and the outcomes most profound. 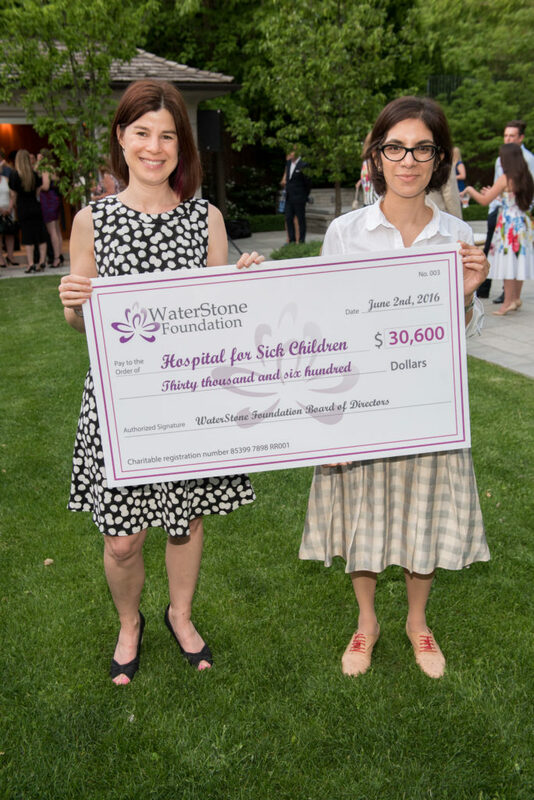 Only in its second year, WaterStone has now raised more than $500,000 for eating disorder research, treatment and education. 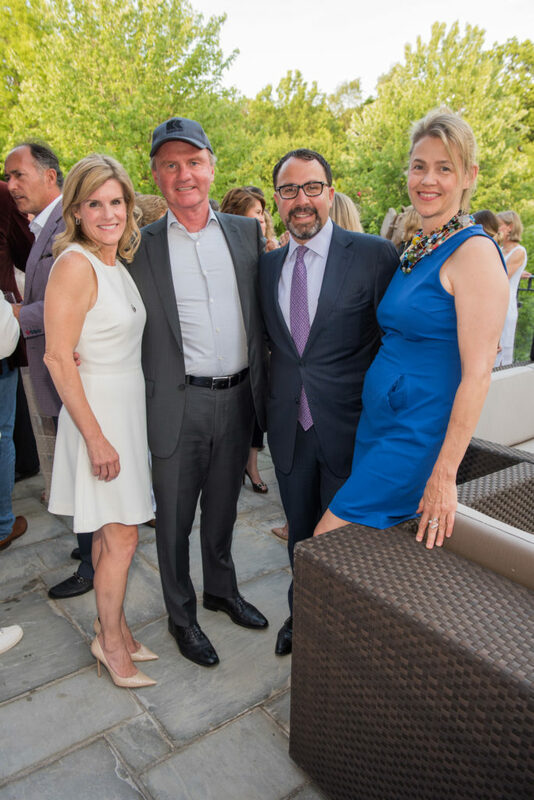 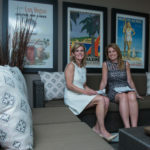 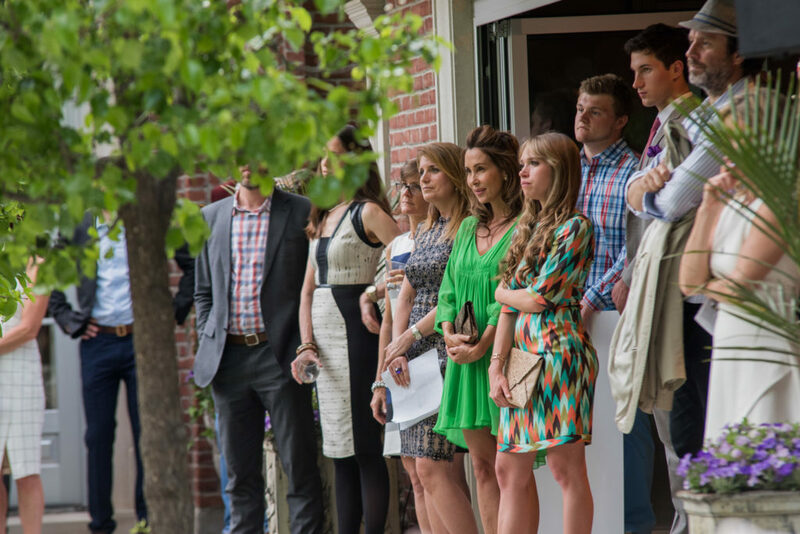 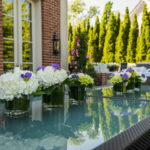 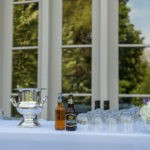 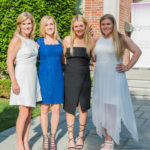 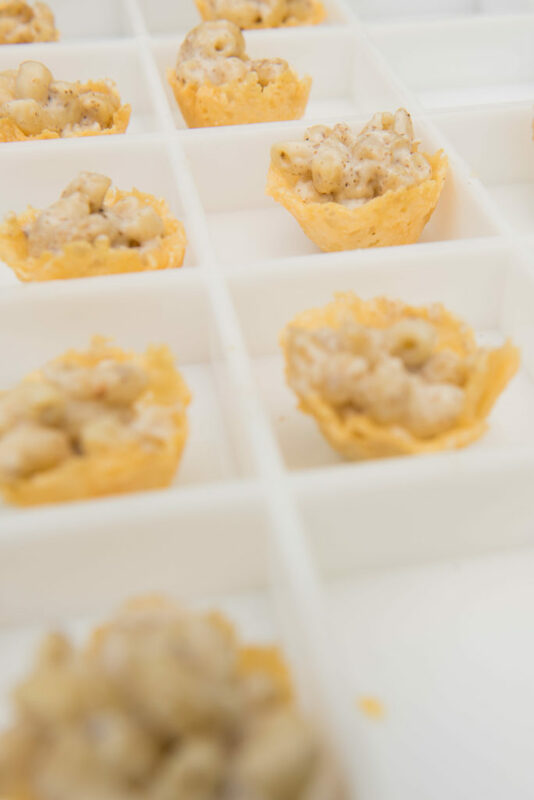 Esteemed guests enjoyed cocktails and hors d’oeuvres, strolled through the lush gardens overlooking the city, listening to jazz by Steve Hagen, and spent time viewing the extensive private art collection installed throughout the home of the event hosts. 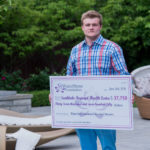 The program included a poignant personal account from a young man and his experience with an eating disorder. 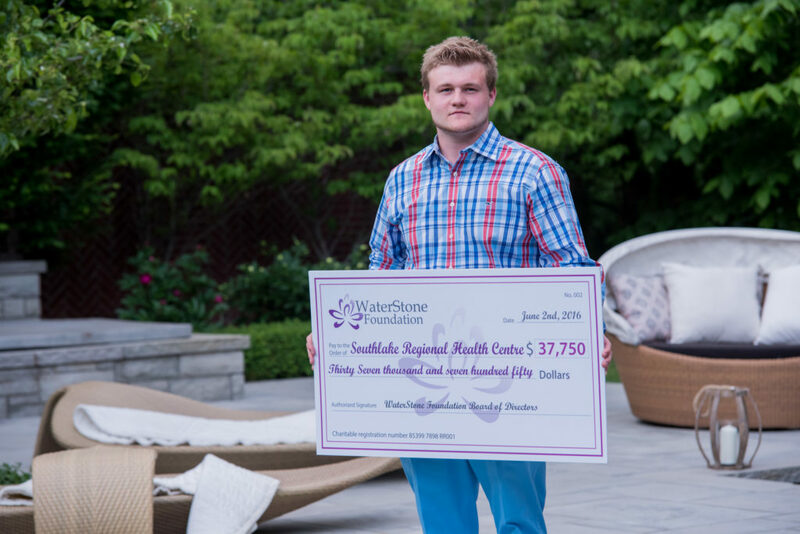 He was able to continue treatment and achieve recovery, thanks to financial support from WaterStone Foundation. 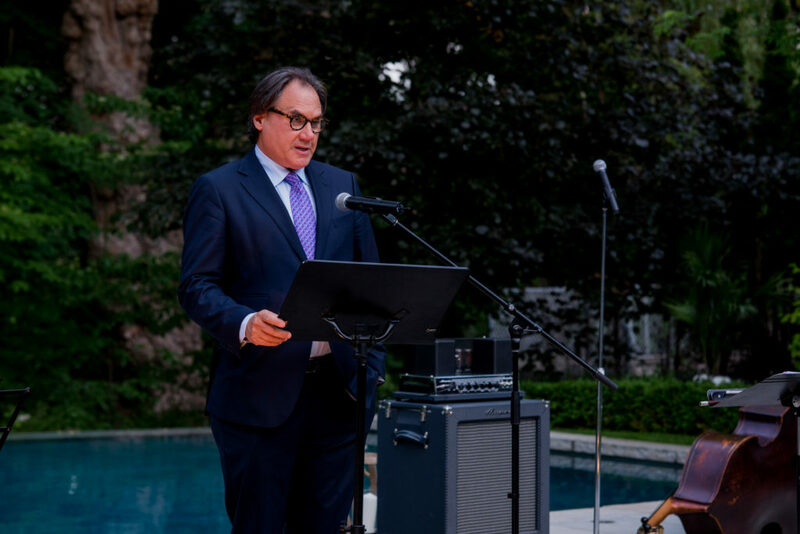 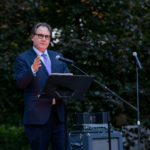 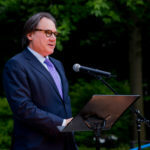 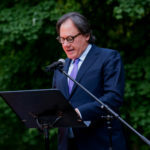 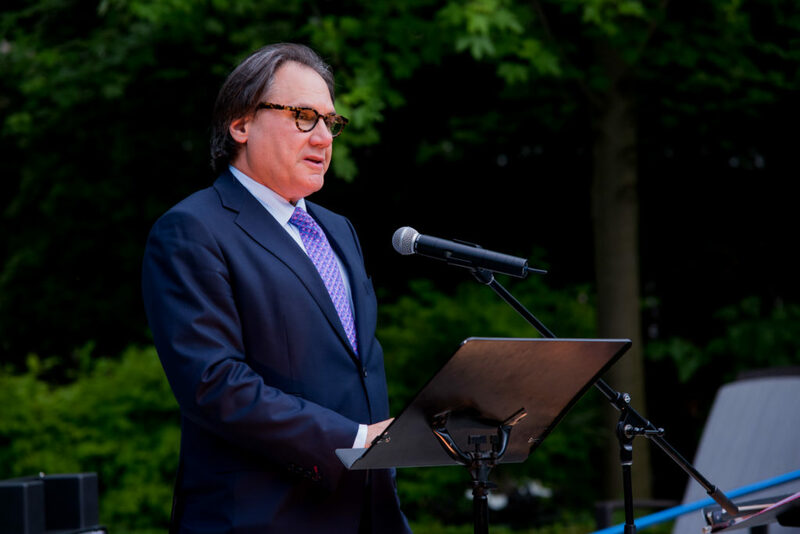 Also taking the podium was the renowned Dr. Allan Kaplan, Senior Clinician/Scientist at the Center for Addiction and Mental Health in Toronto, who gave a impactful speech highlighting key elements of the disease the reinforced the need for more research and treatment. 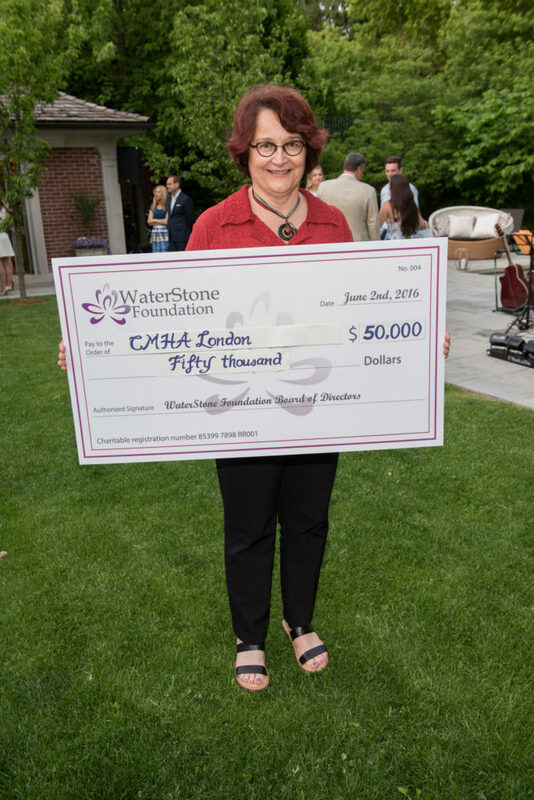 Foundation board members and guests were also celebrating the official announcement of WaterStone’s Inaugural Fund Awards announced earlier that day. 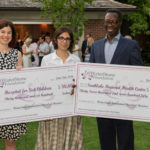 Nearly $170,000 was awarded to four Ontario health care facilities offering highly specialized and innovative treatment programs to adults and children with eating disorders, and their families. 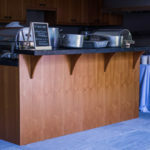 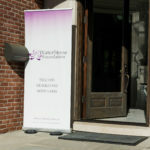 The announcement date was selected as a gesture of solidarity and support of the World Eating Disorders Action Day, the first such global virtual event be held. 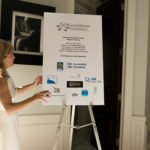 Representatives from the recipient institutions attending the Reception to accept their awards included: Drs. 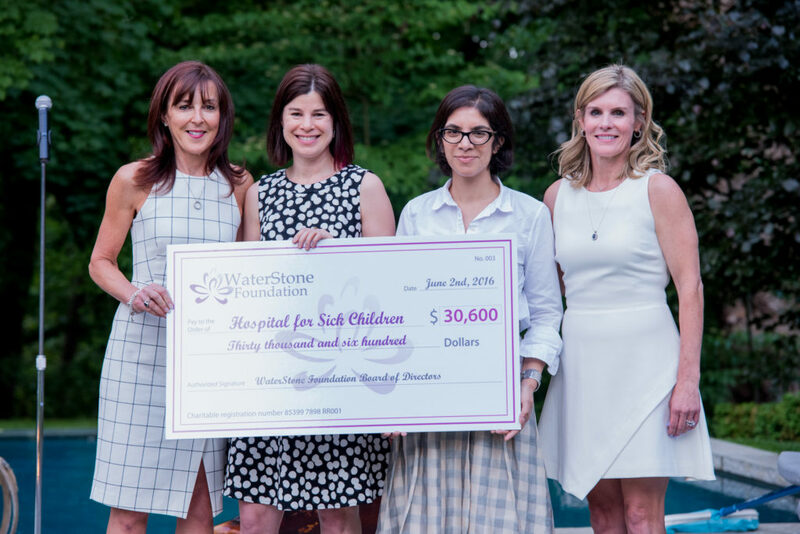 Cathleen Steinegger and Seena Grewal from The Toronto Hospital for Sick Children, Drs. 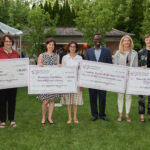 Patricia Colton and Leslie Buckley from University Health Network and Toronto Western Hospital respectively, Dr. Ahmed Boachie of Southlake Regional Health Centre, Shelly Payne of the Canadian Mental Health Association, Middlesex and Dr. Robbie Campbell of London Health Sciences Centre. 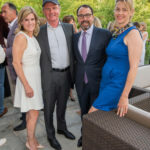 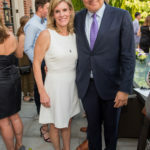 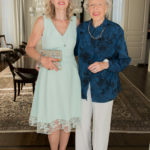 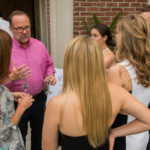 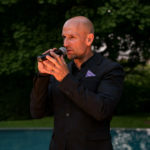 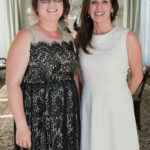 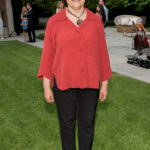 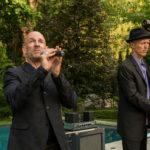 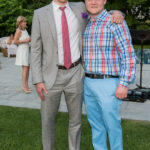 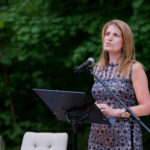 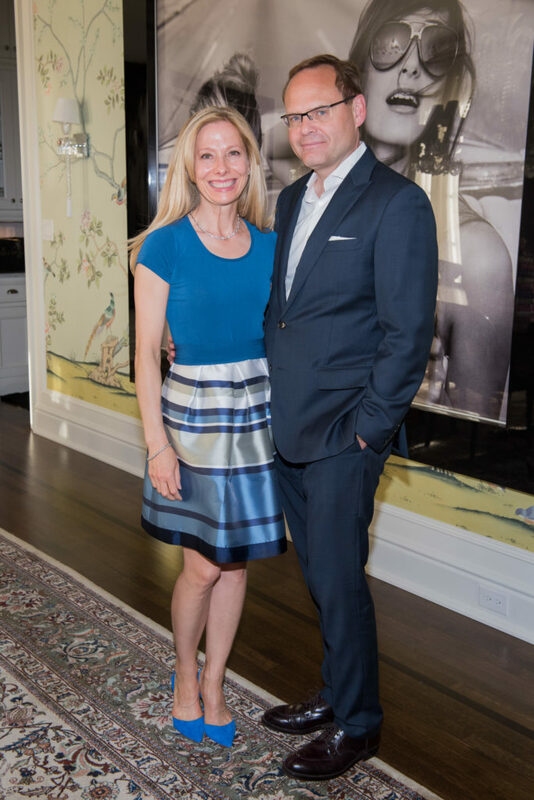 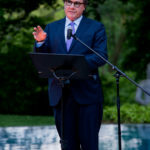 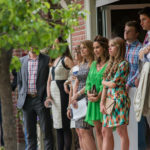 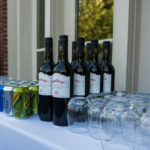 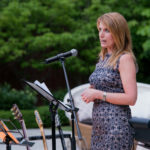 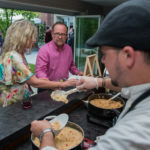 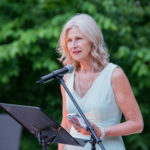 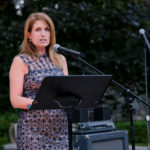 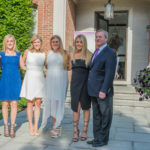 Notable guests who attended to support the cause included: Ruth and Aiden Flatly, Danny Greenglass and Joe Brennan, Mike Bowick and Joanne Peters, Rene and Rocky Pantalone, Julie Sleeman, Chris Dawson, Andrew Galloway, Cara Vaccarino, Ron Suter and DeeDee Eustance, and longtime supporters Eugene and Angelica McBurney, among many others. 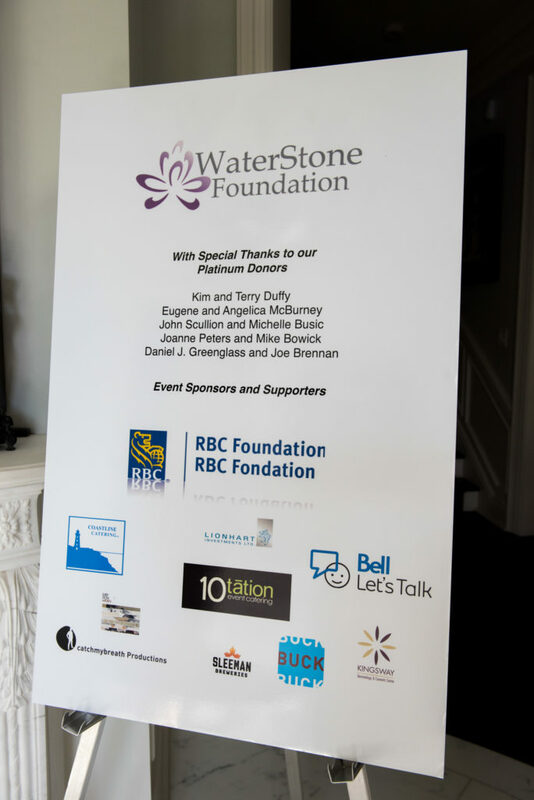 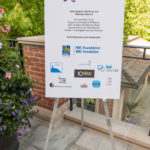 WaterStone thanks all of its generous sponsors including RBC Foundation and Bell Media for making its event a great success. 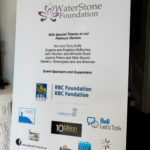 More information about WaterStone Foundation Fund recipients and their programs can be found be visiting the News section at www.waterstonefoundation.ca. 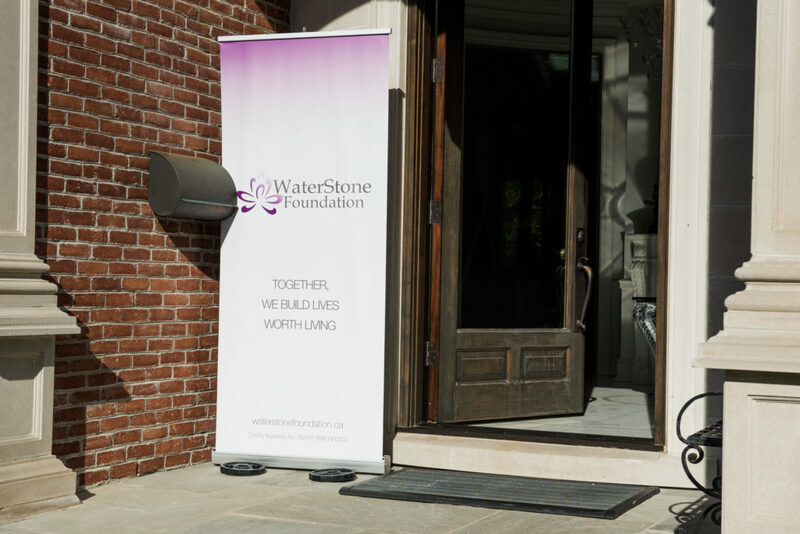 WaterStone Foundation is a registered Canadian charity raising money to support our vision: to create healthy lives free from eating disorders. 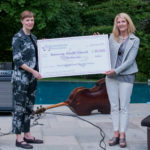 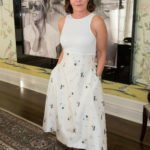 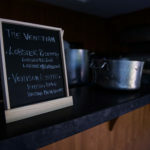 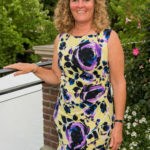 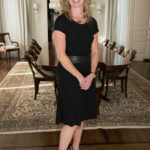 Our goal is to provide much needed funding to support the full continuum of eating disorders from prevention to treatment and support post treatment through investment in research, hospital programs and financial assistance for patients needing urgent care who fall through the cracks in our public healthcare system. 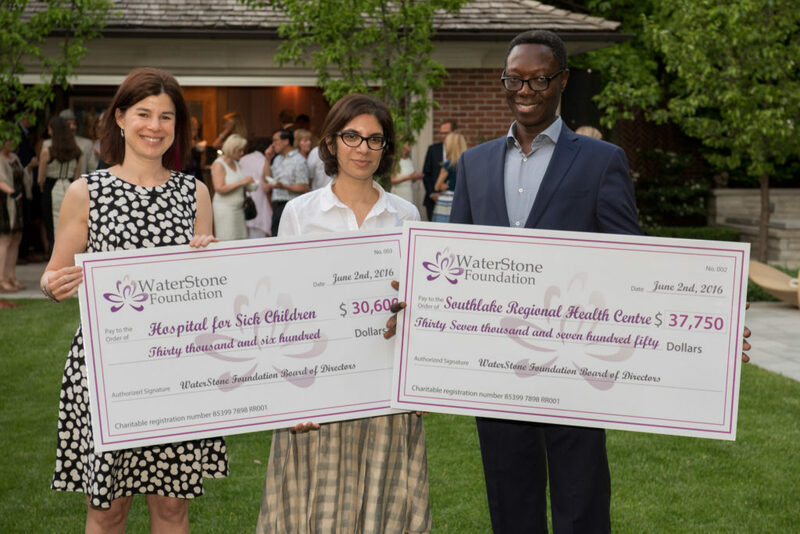 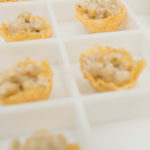 For more information, please visit www.waterstonefoundation.ca.